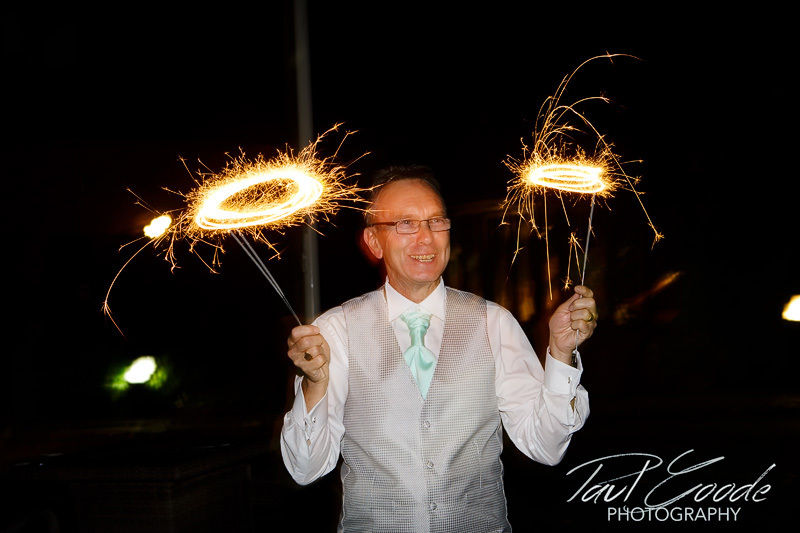 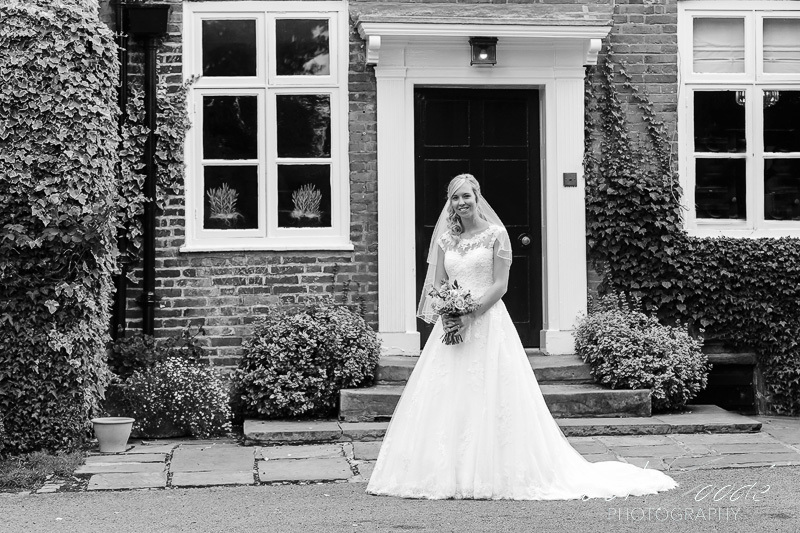 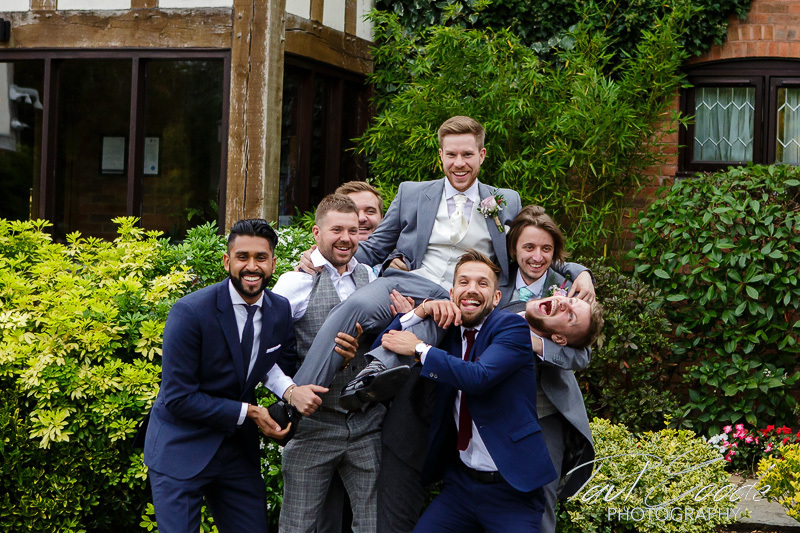 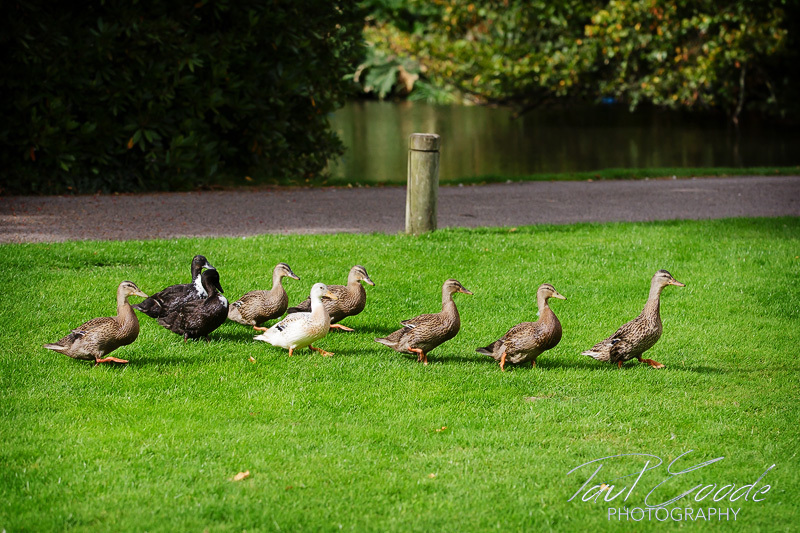 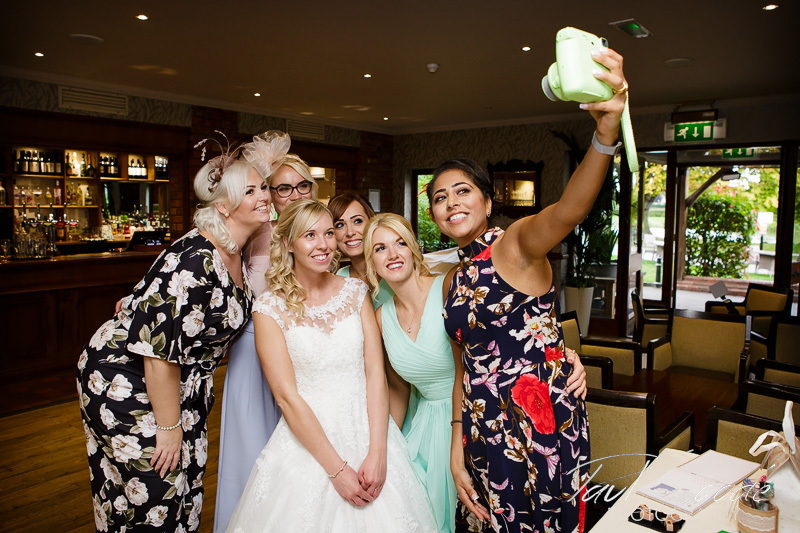 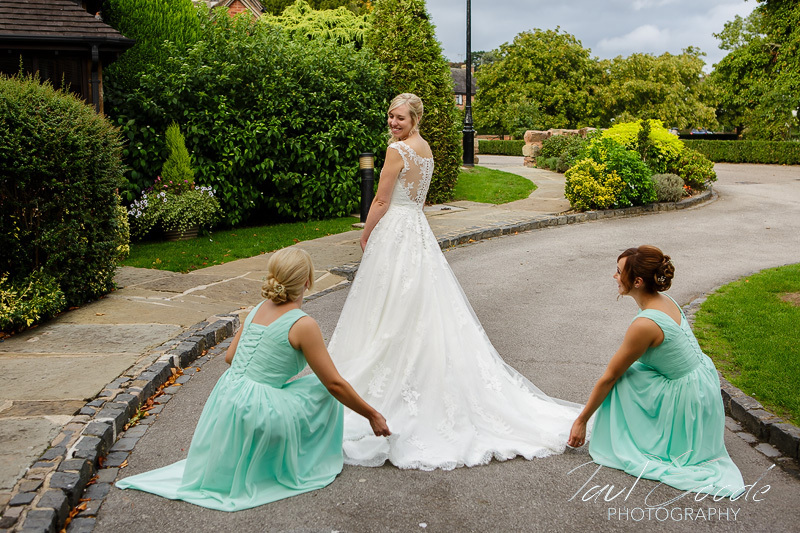 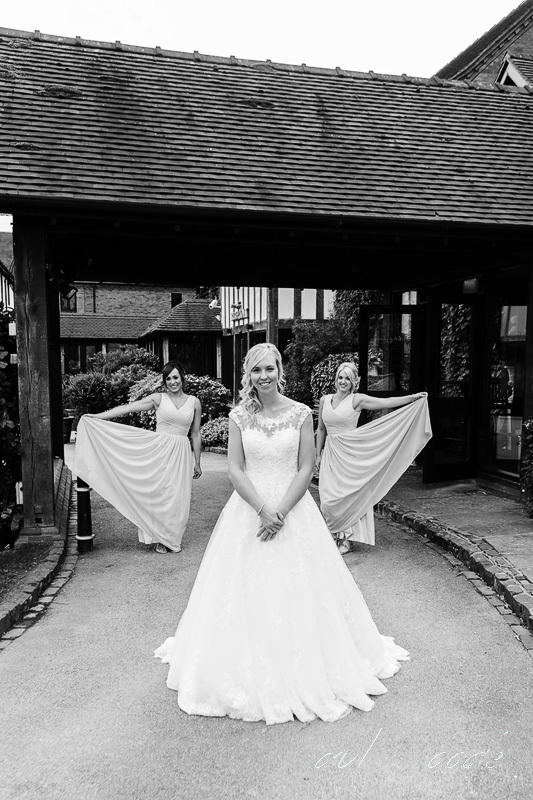 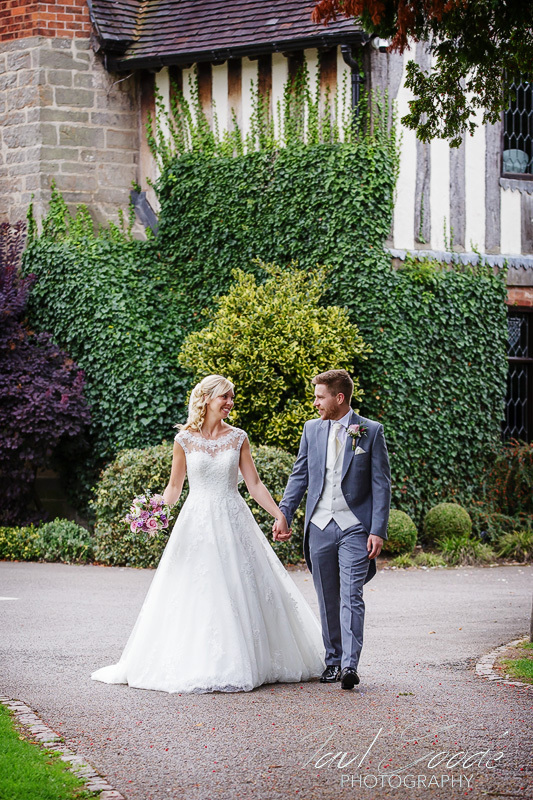 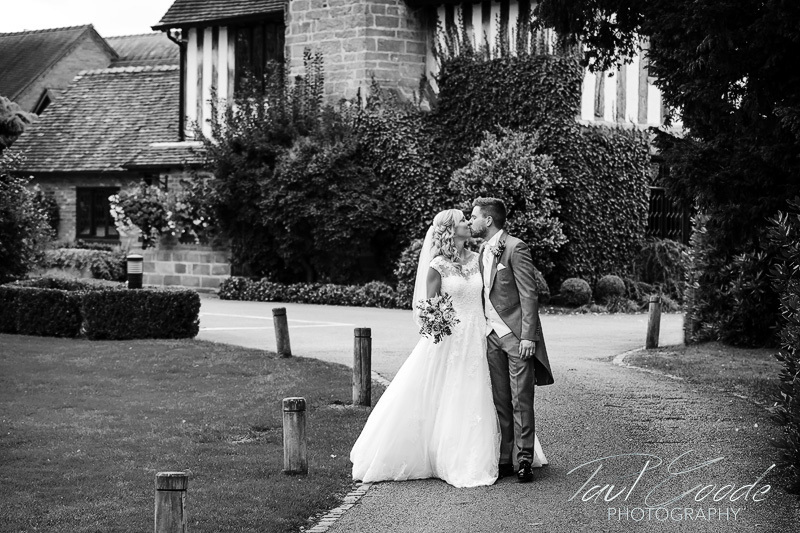 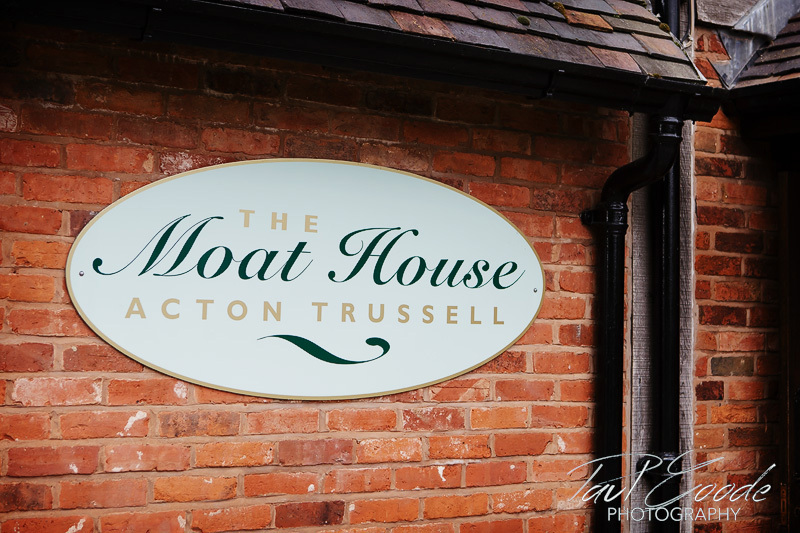 I travelled into rural Staffordshire, to the pretty village of Acton Trussell for Sarah and Dan’s wedding at The Moat House. 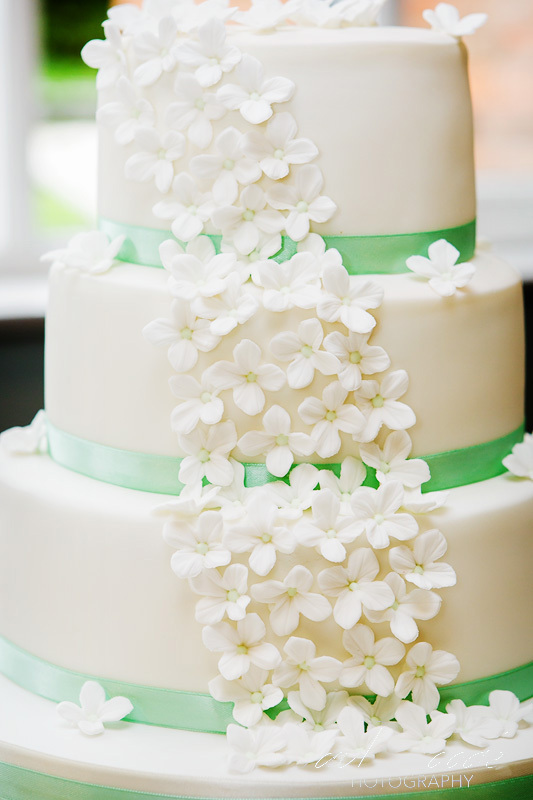 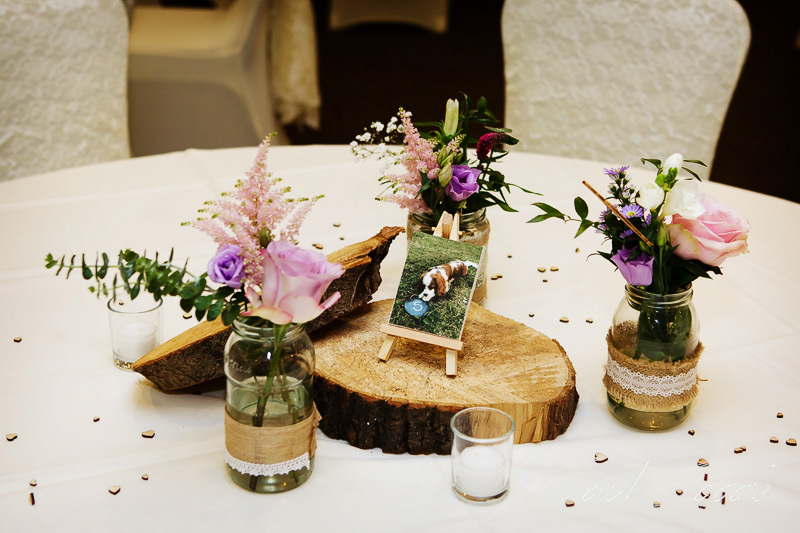 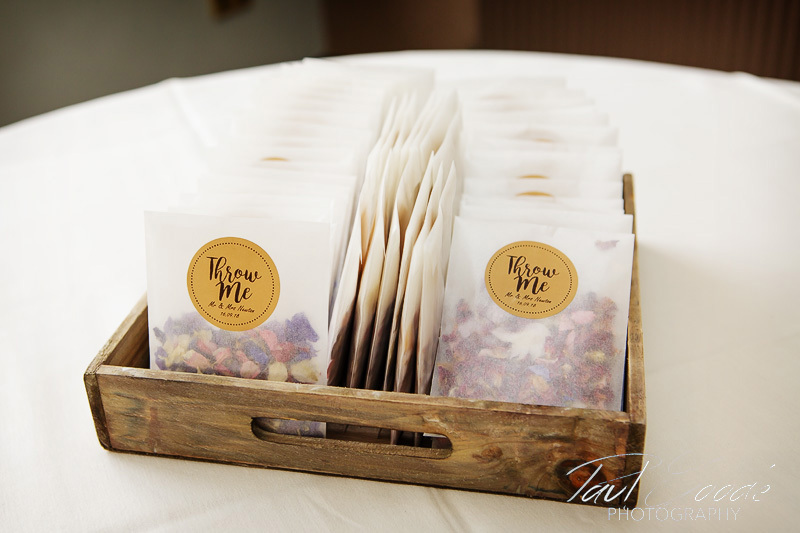 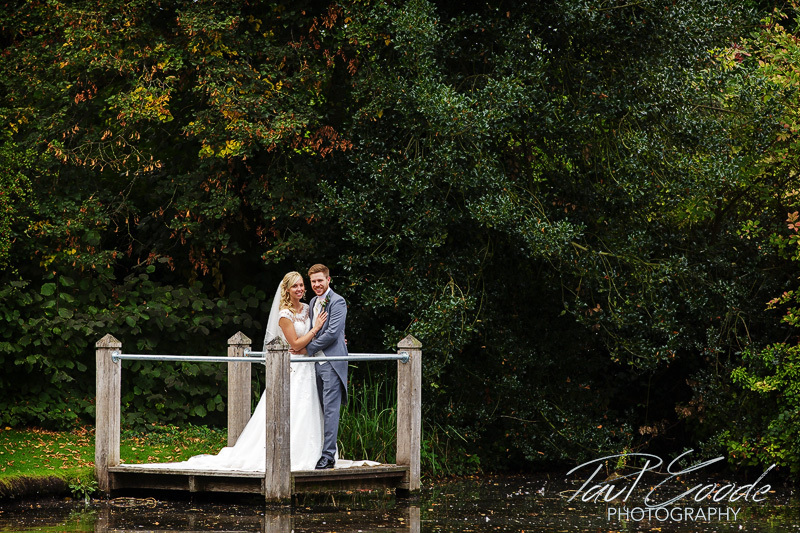 They had truly picked a stunning venue for their wedding day. 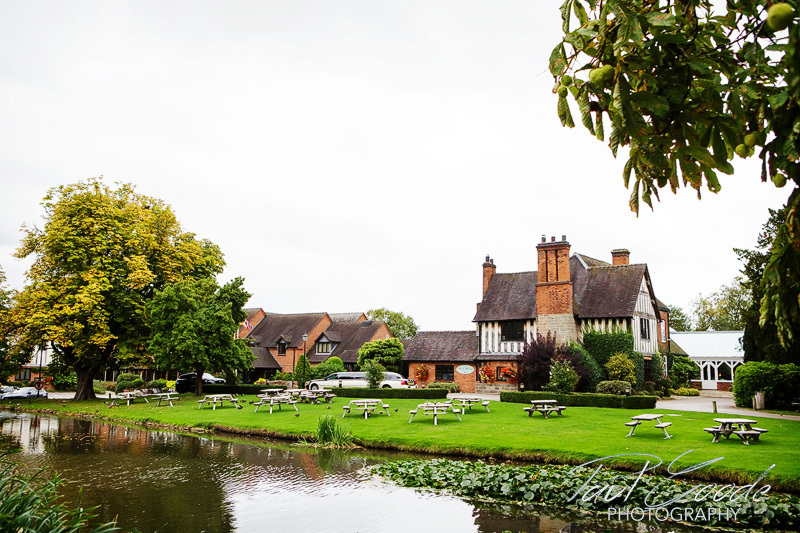 This charming Grade II listed, 14th Century manor house is a firm favourite of mine, one I have been fortunate to work at on many occassions. 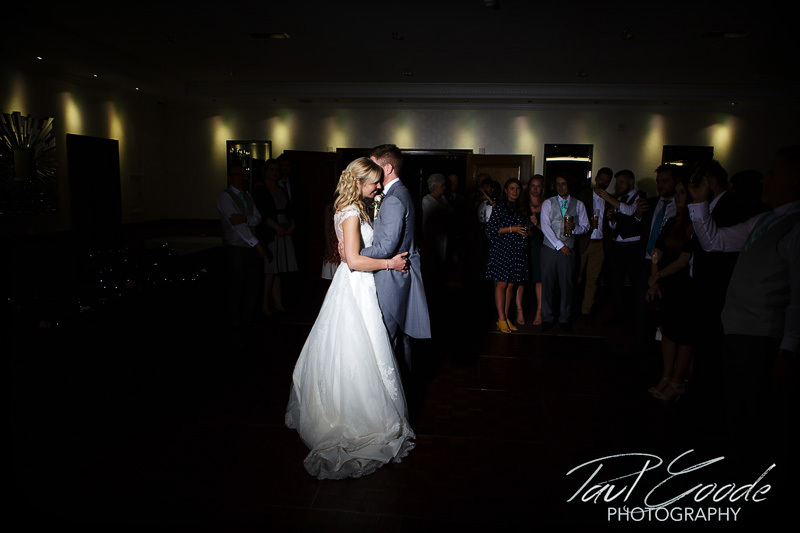 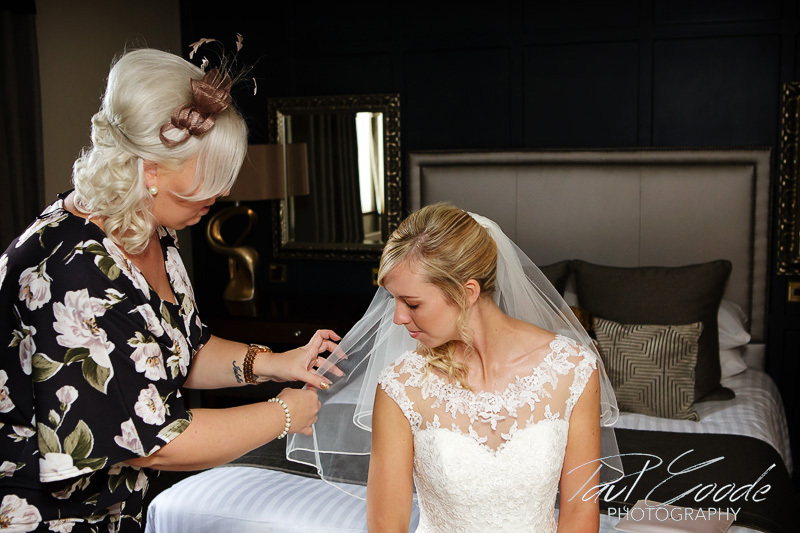 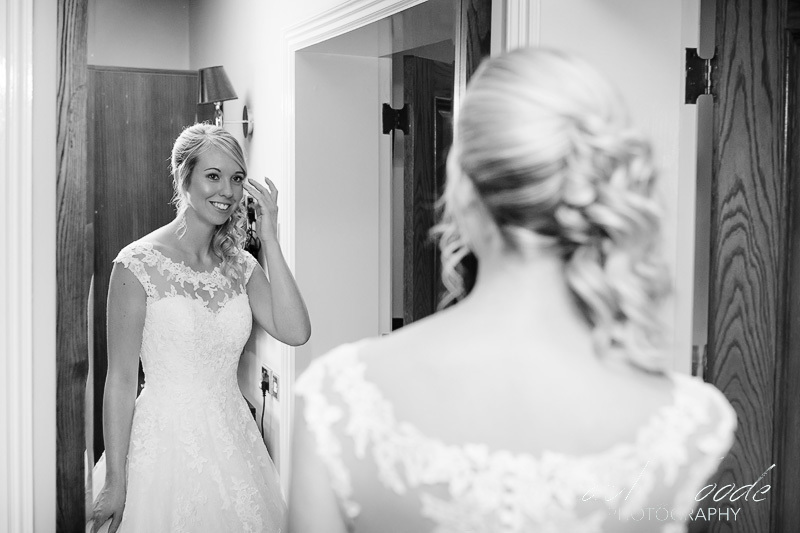 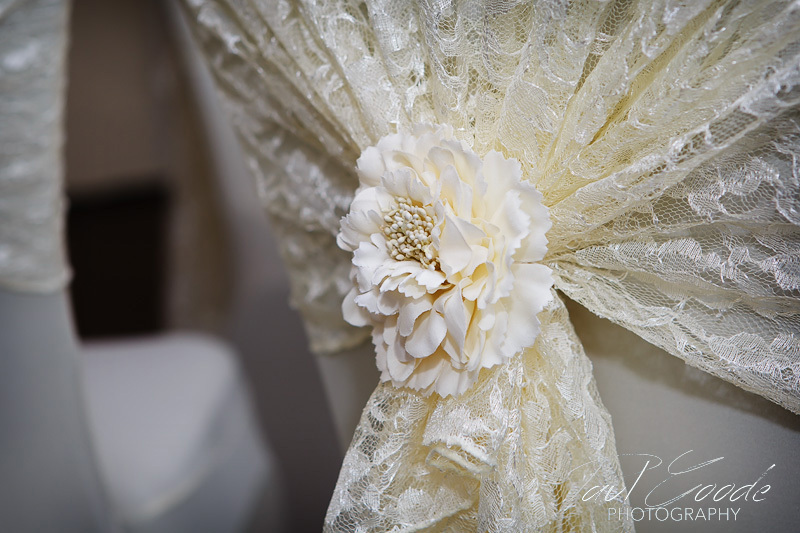 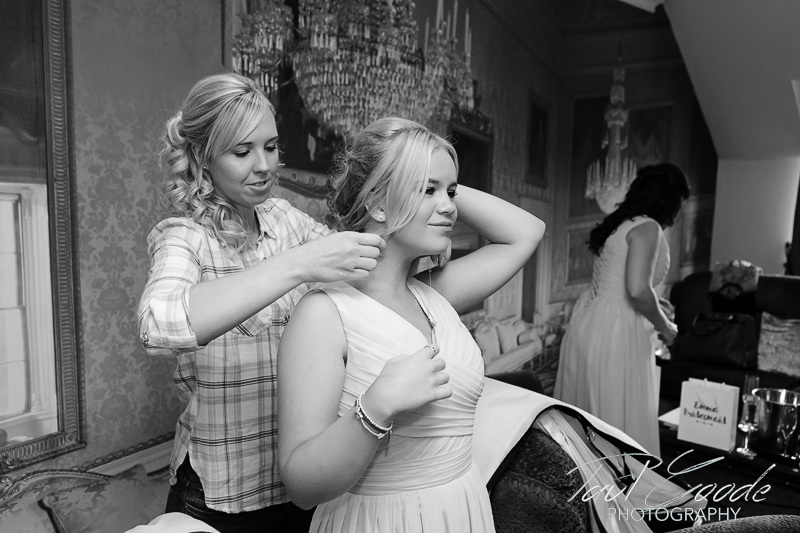 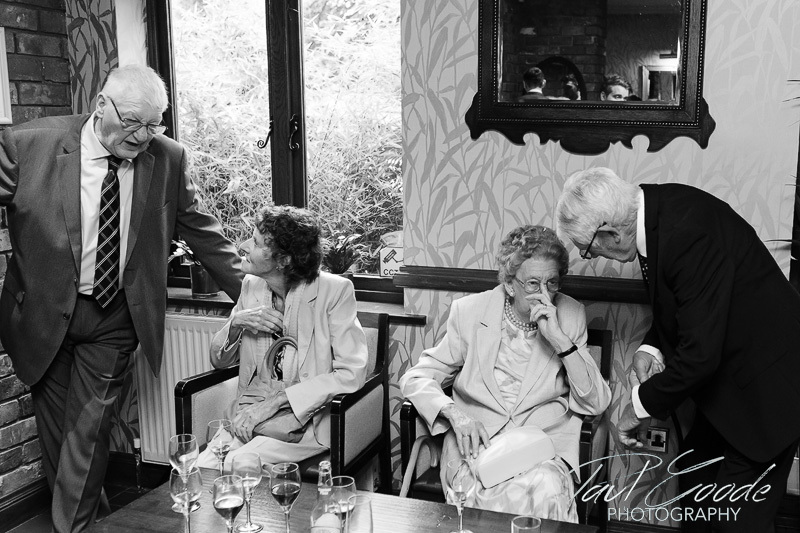 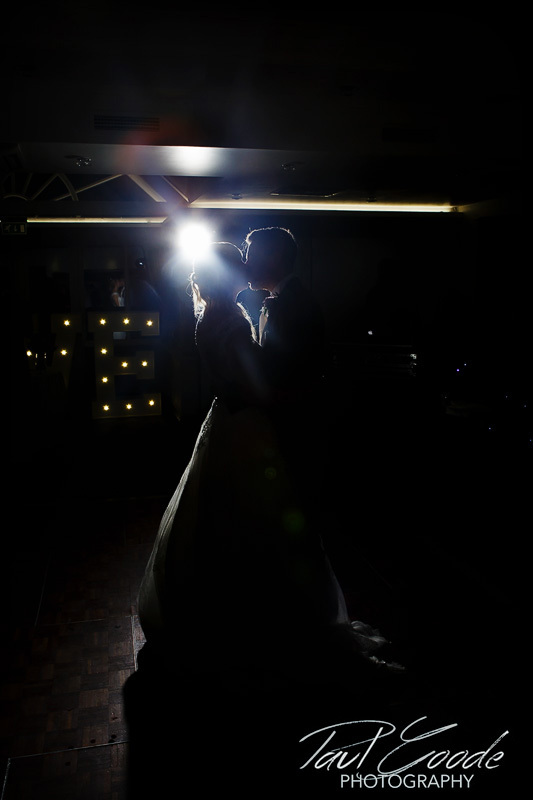 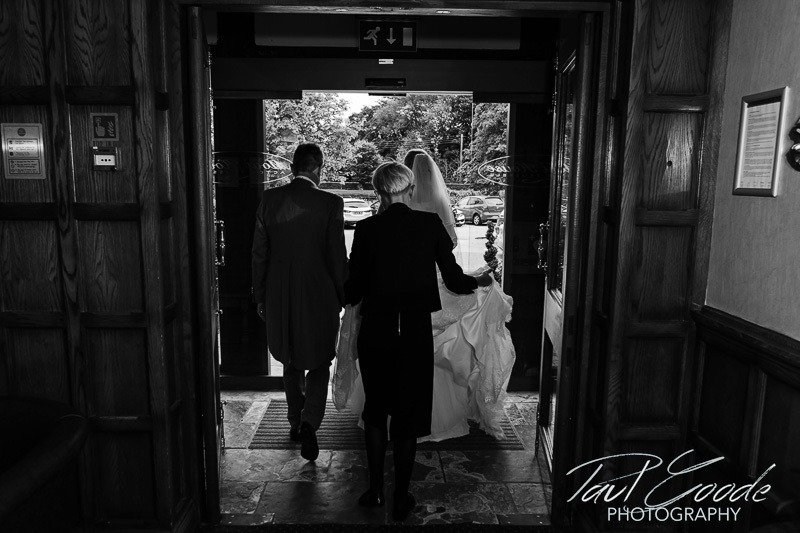 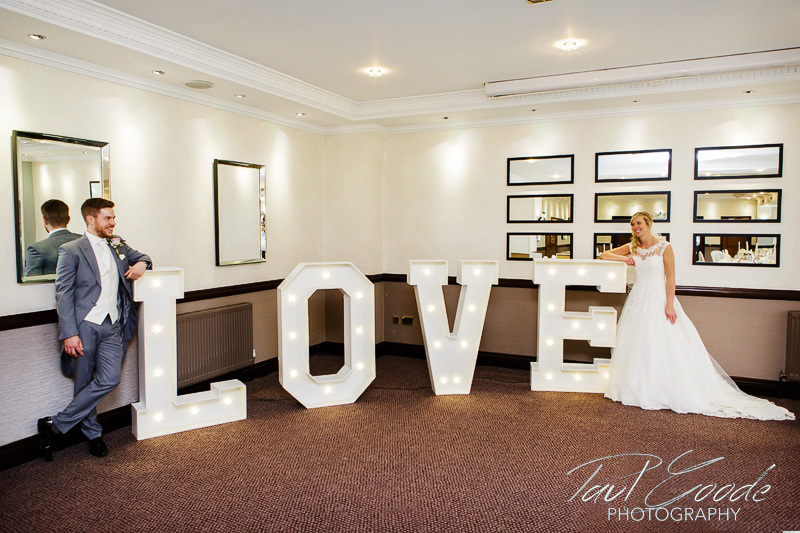 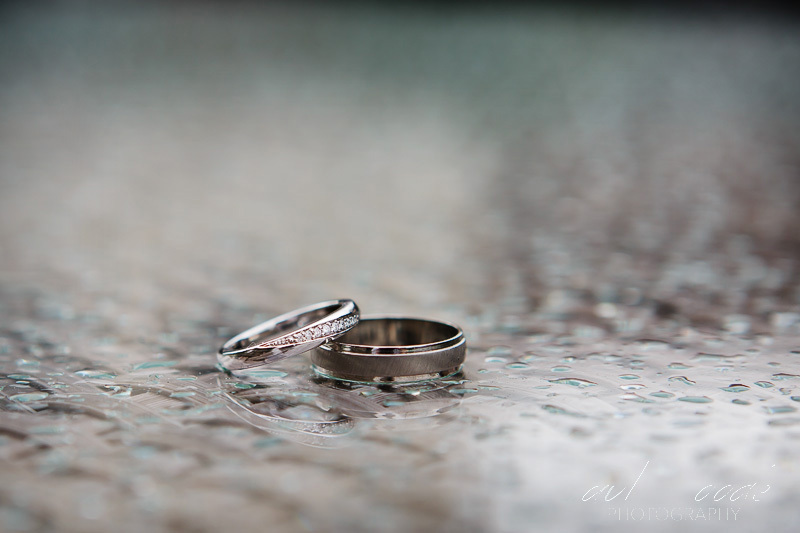 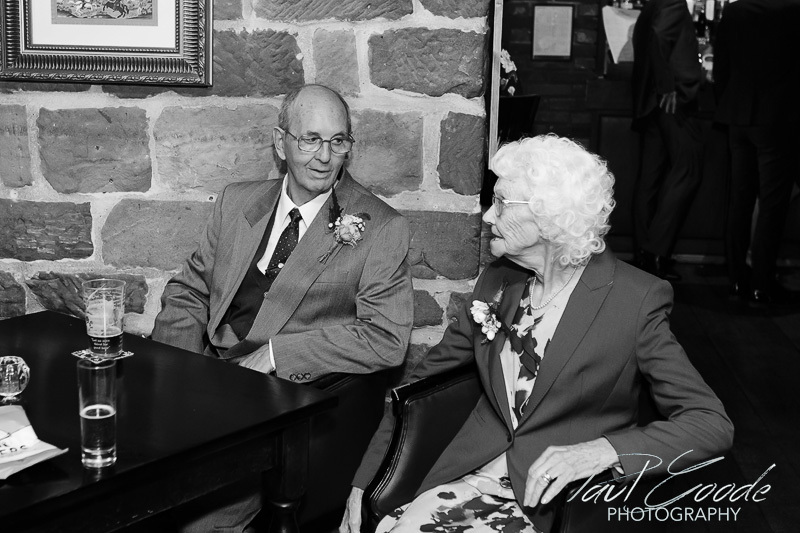 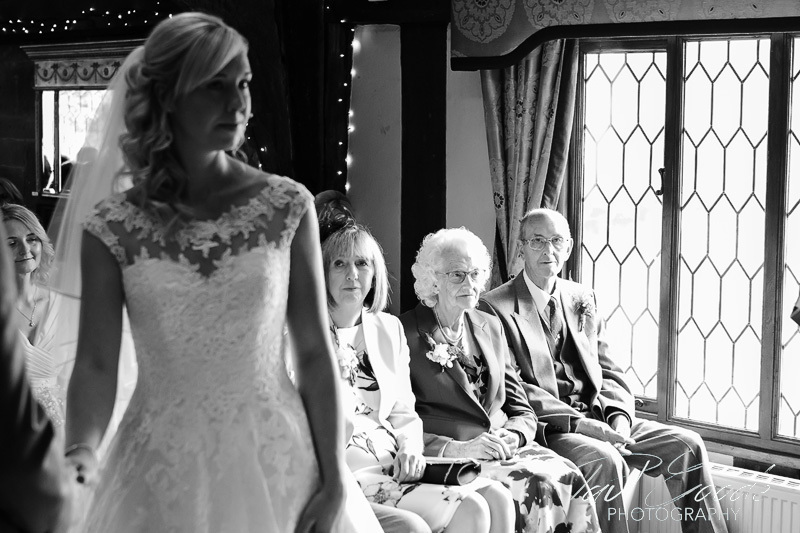 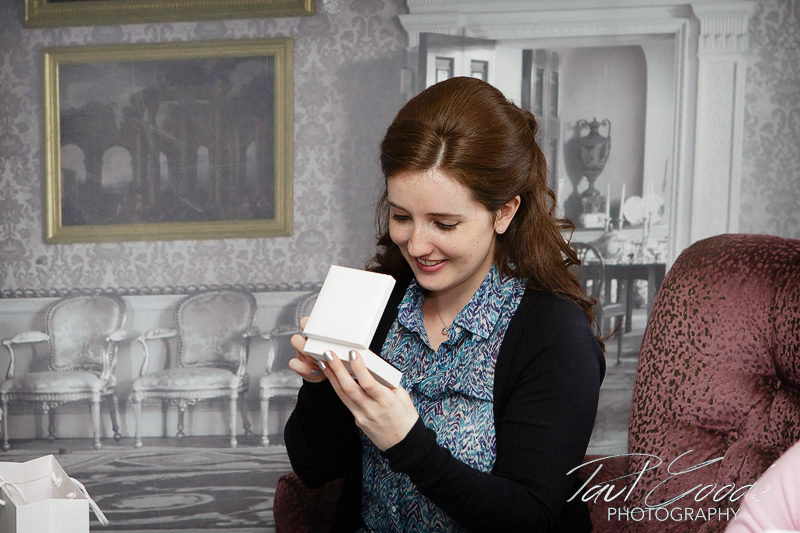 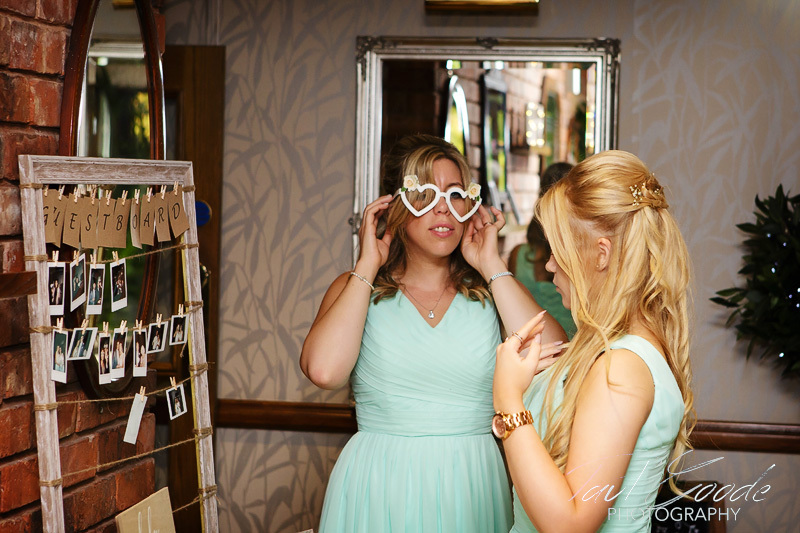 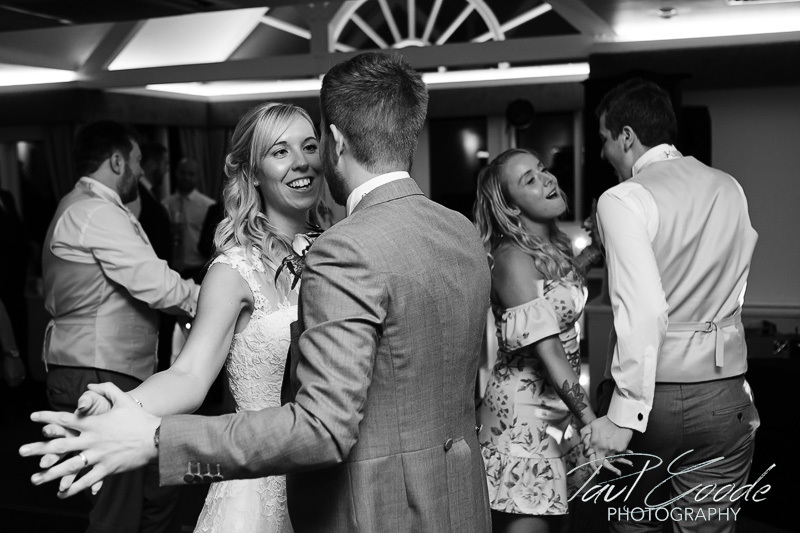 I was really looking forward to being back once again as wedding photographer for Sarah and Dan. 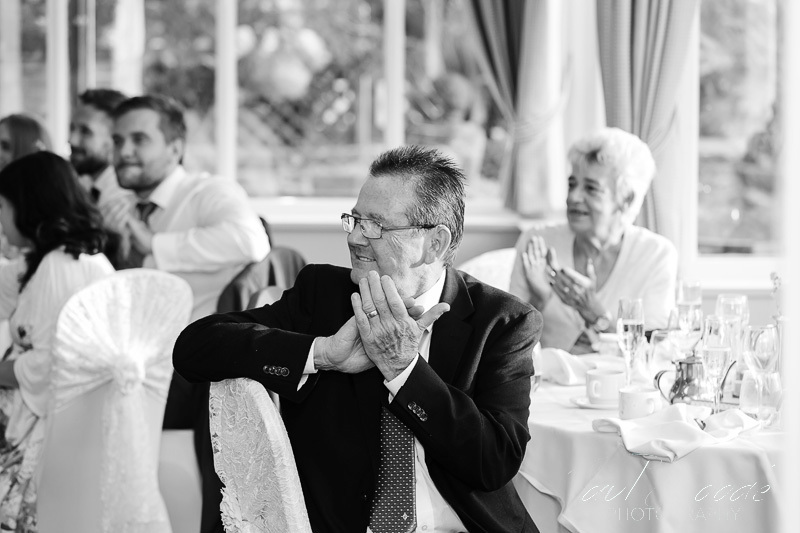 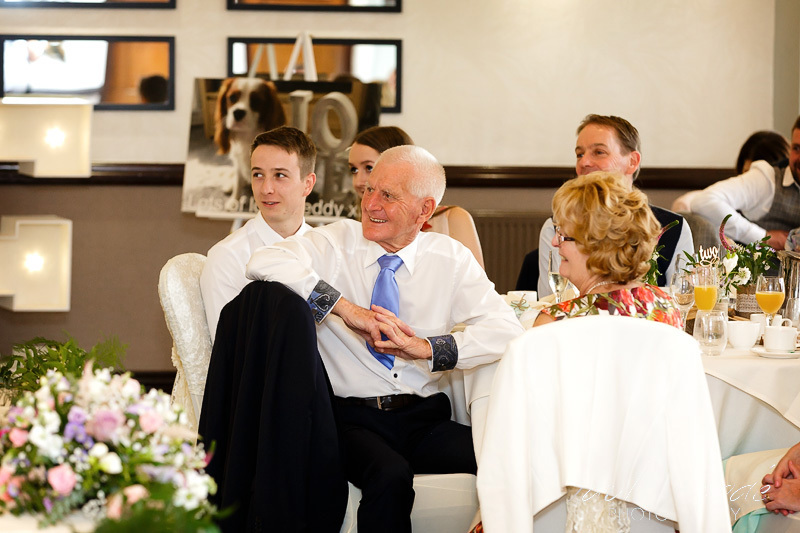 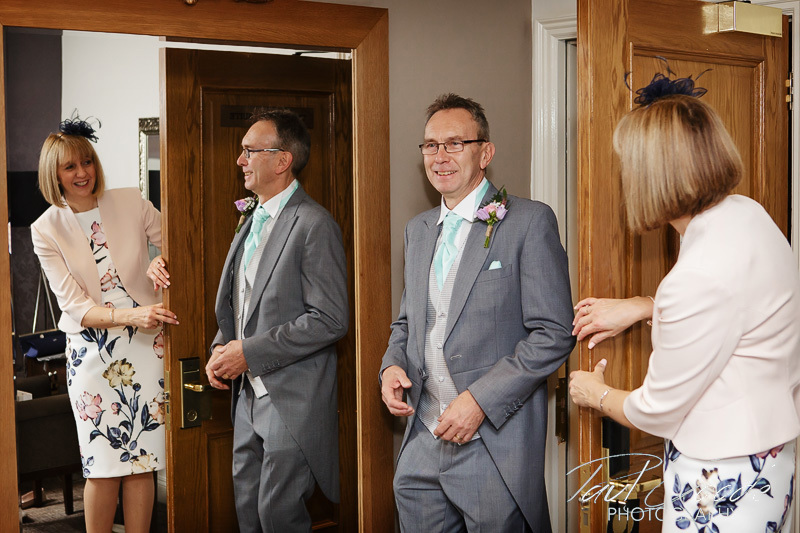 At ceremony time, Dan and the guests took their seats in The Colin Lewis Suite as Sarah and her father made their entrance. 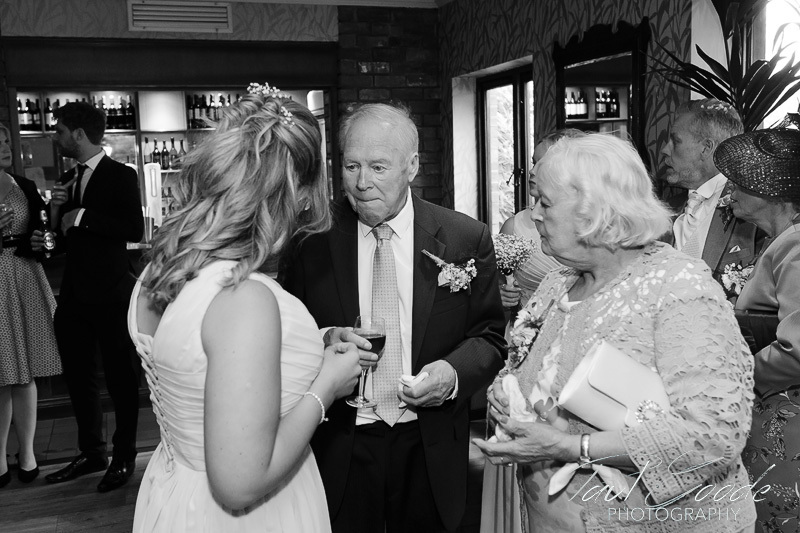 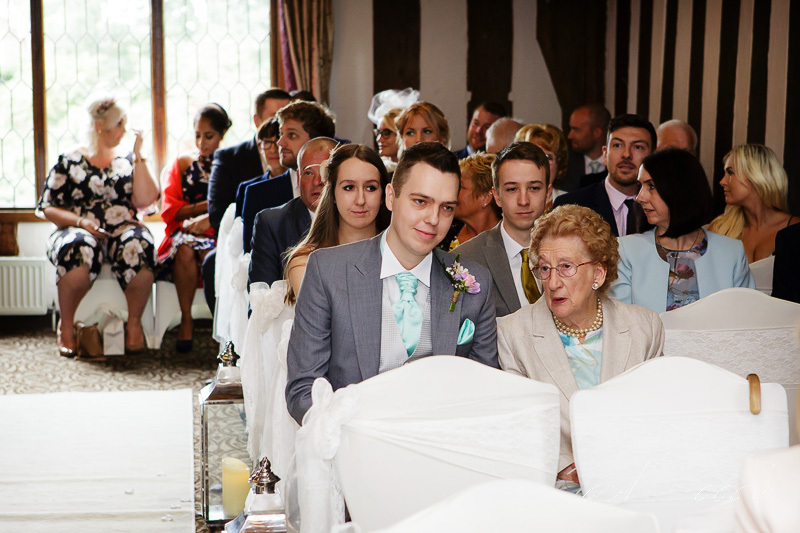 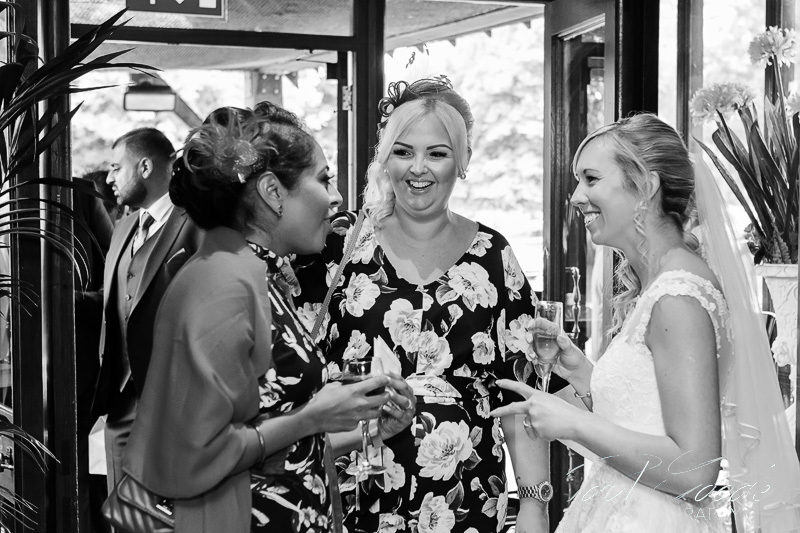 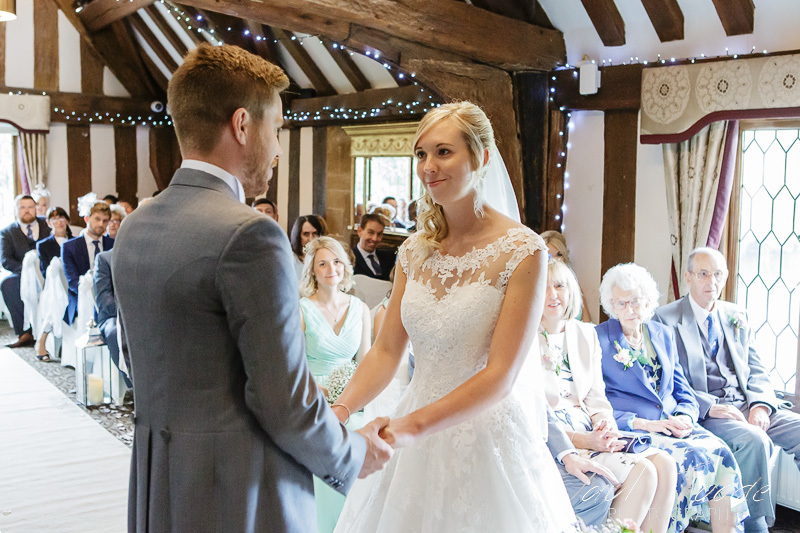 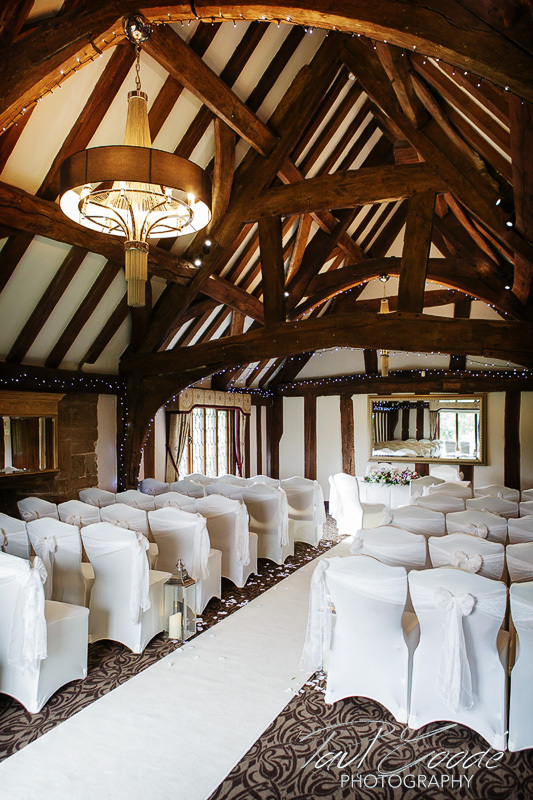 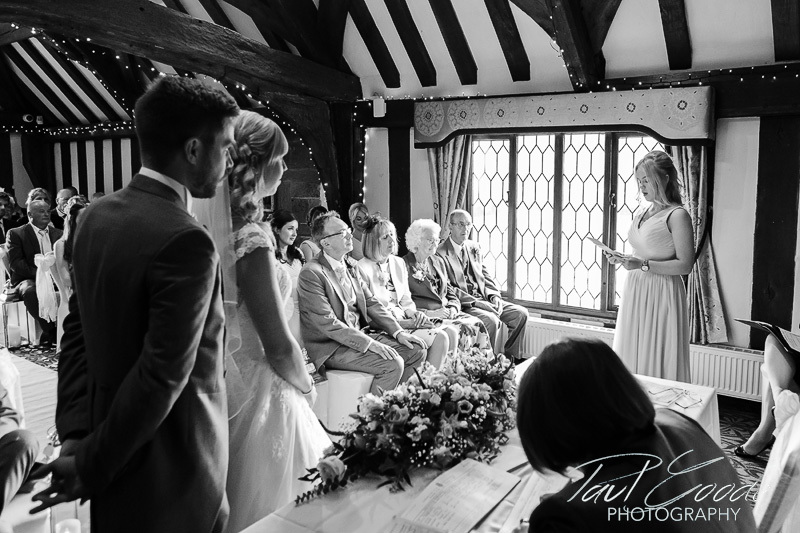 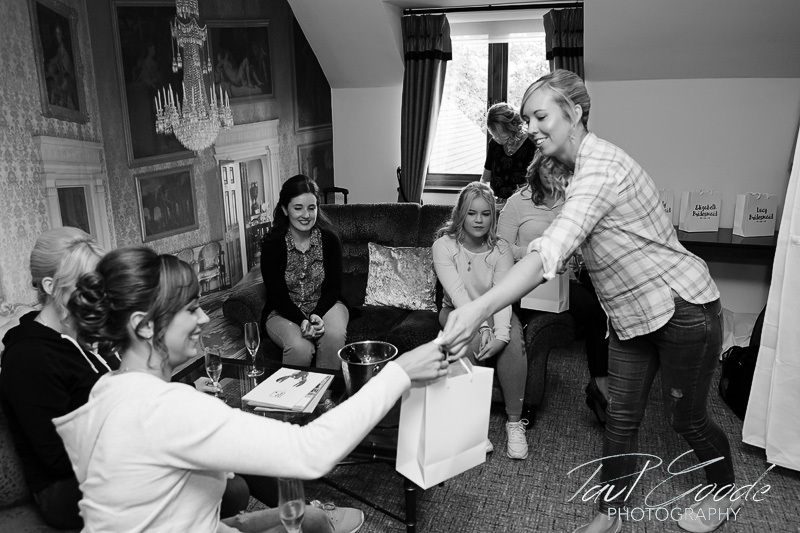 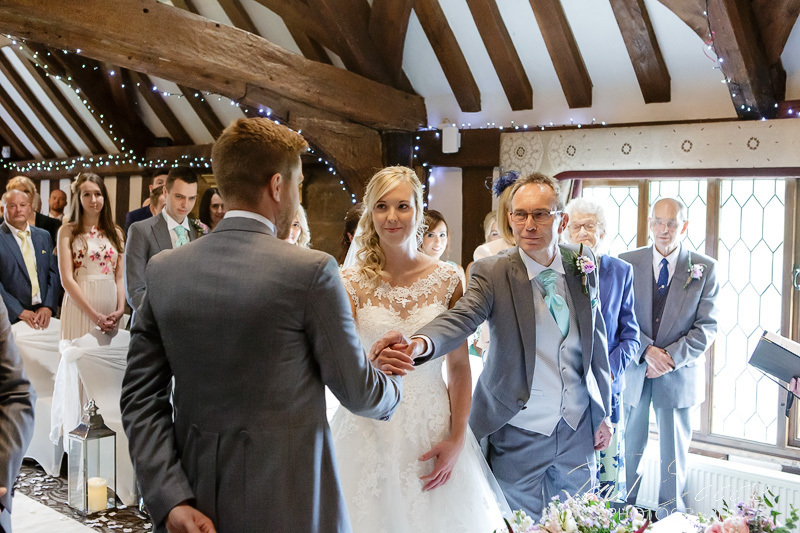 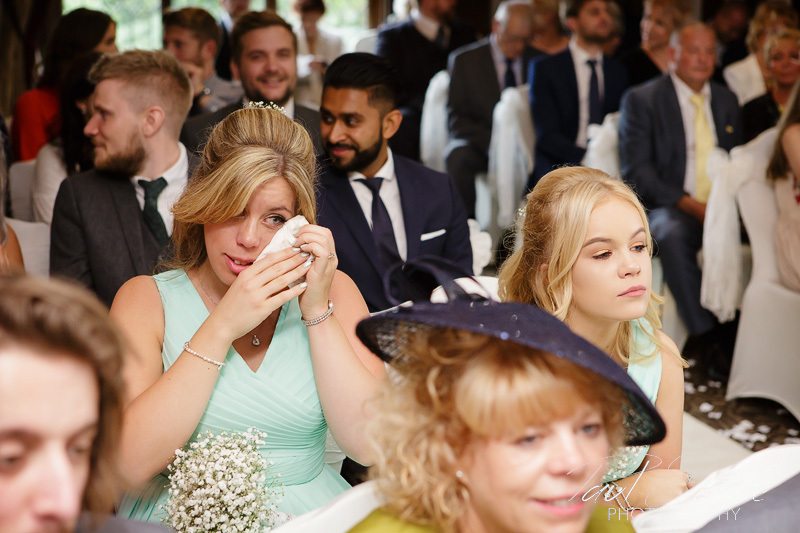 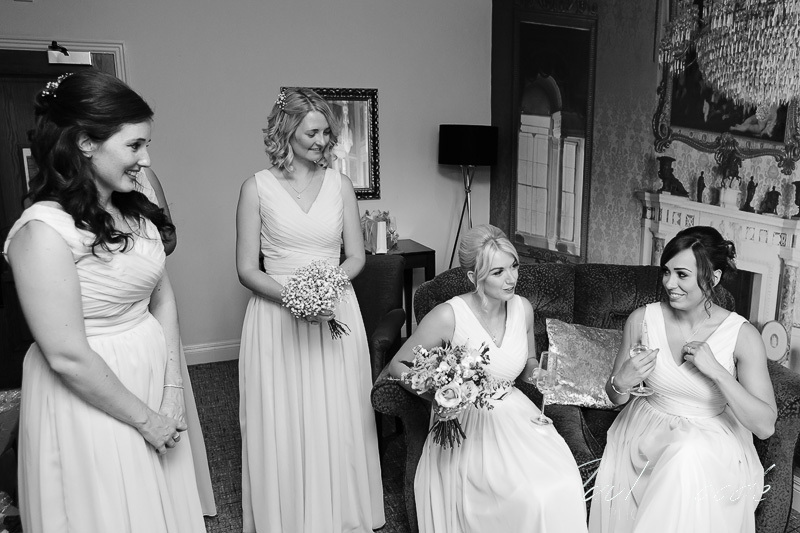 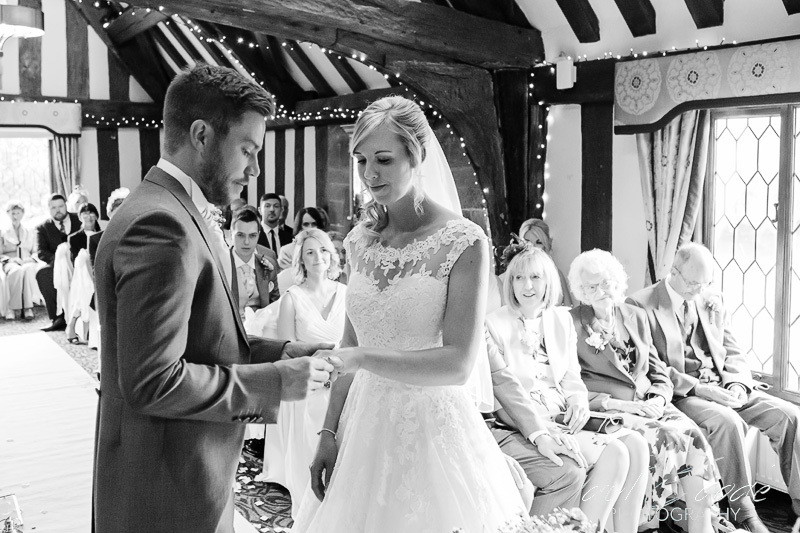 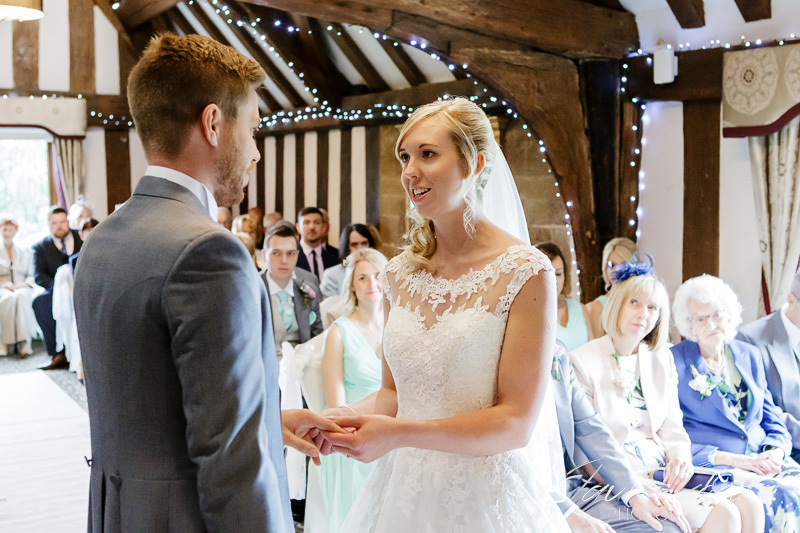 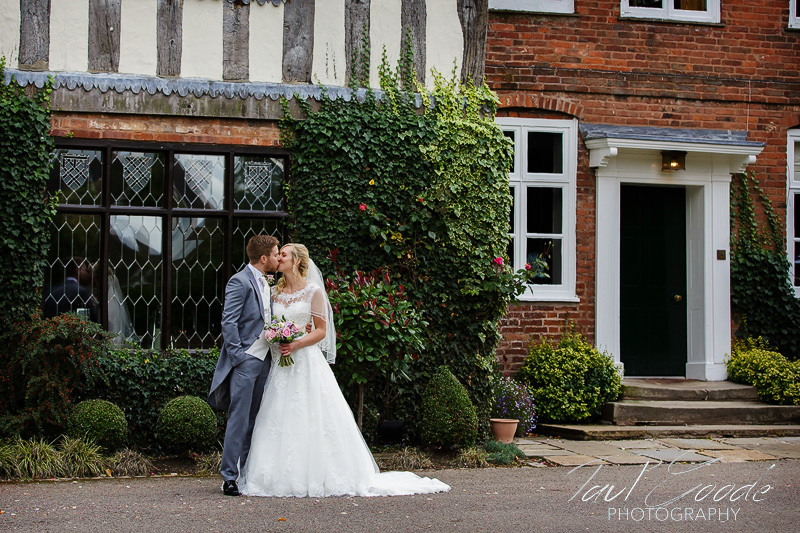 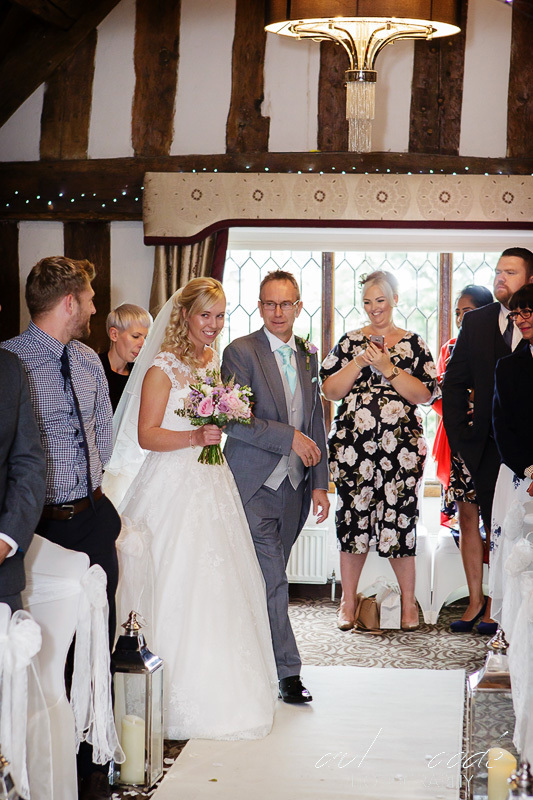 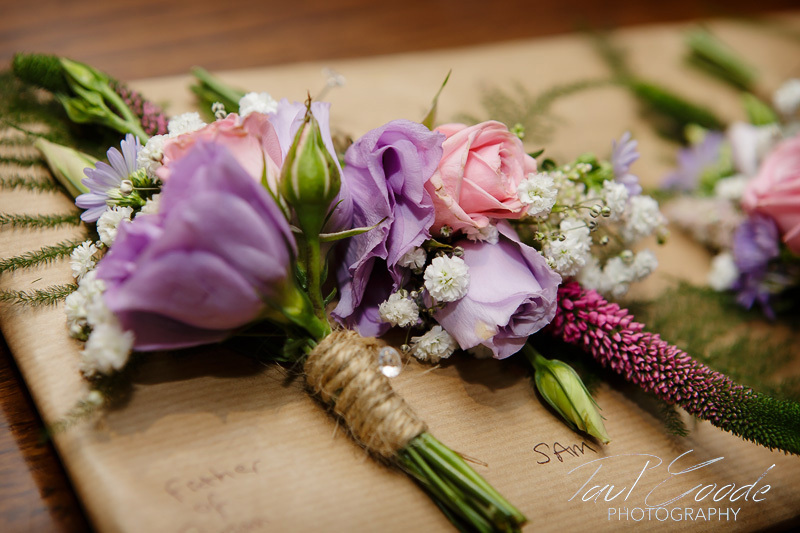 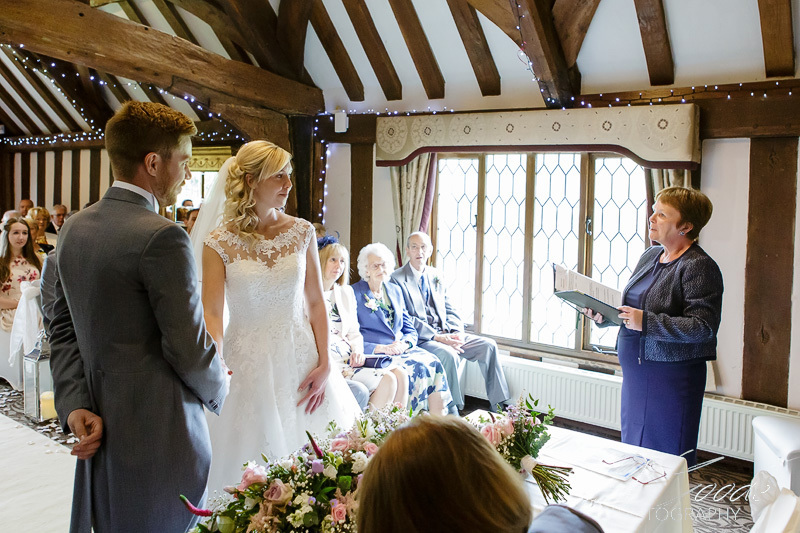 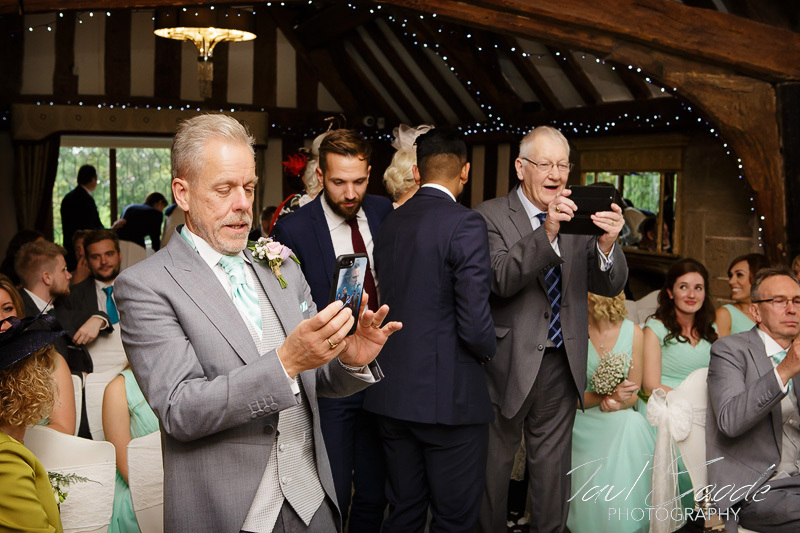 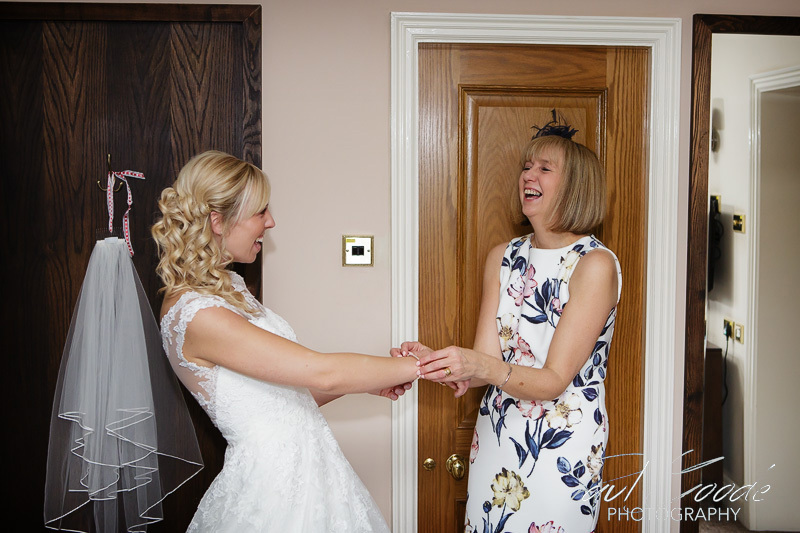 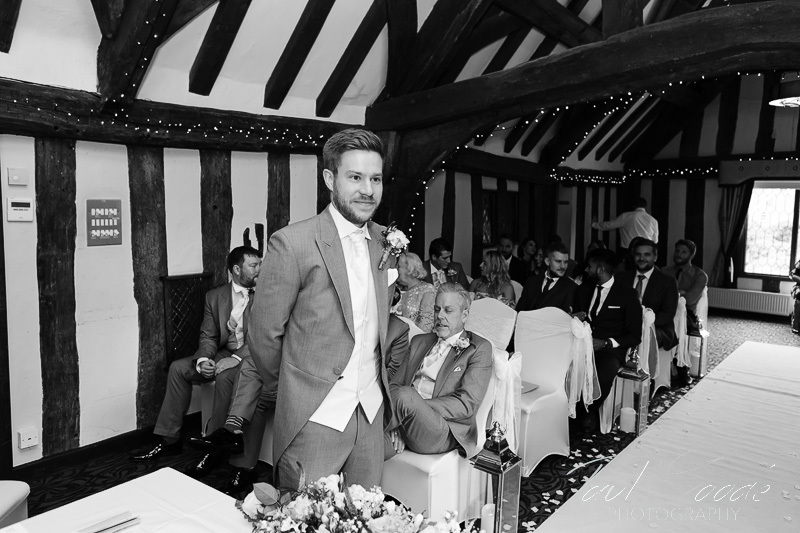 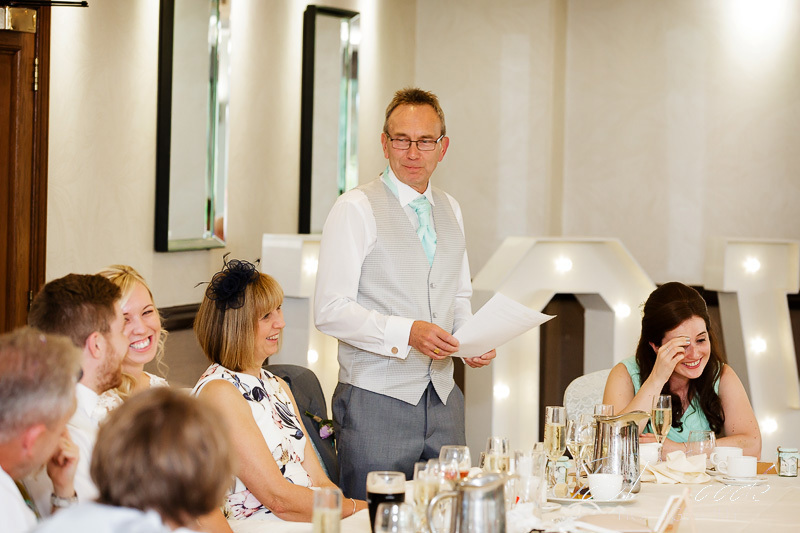 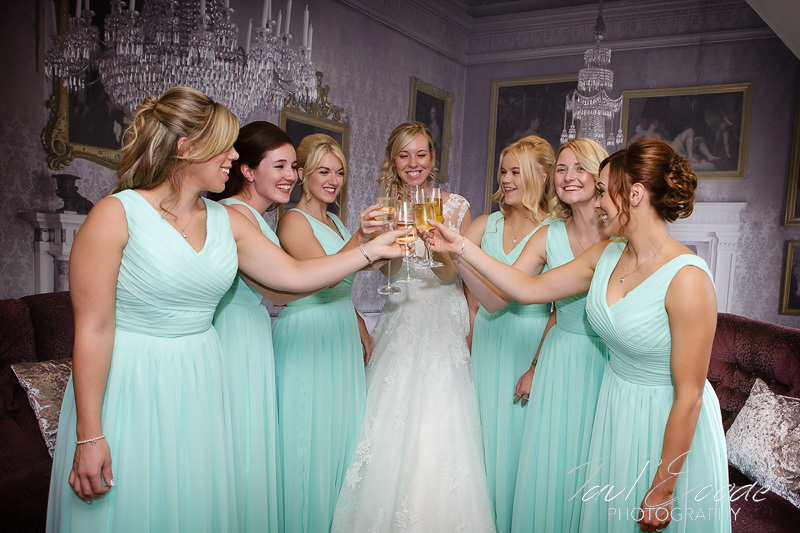 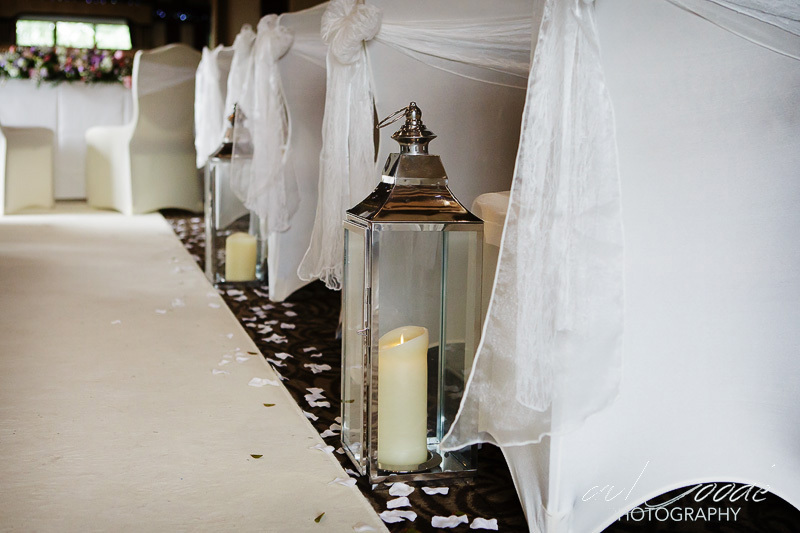 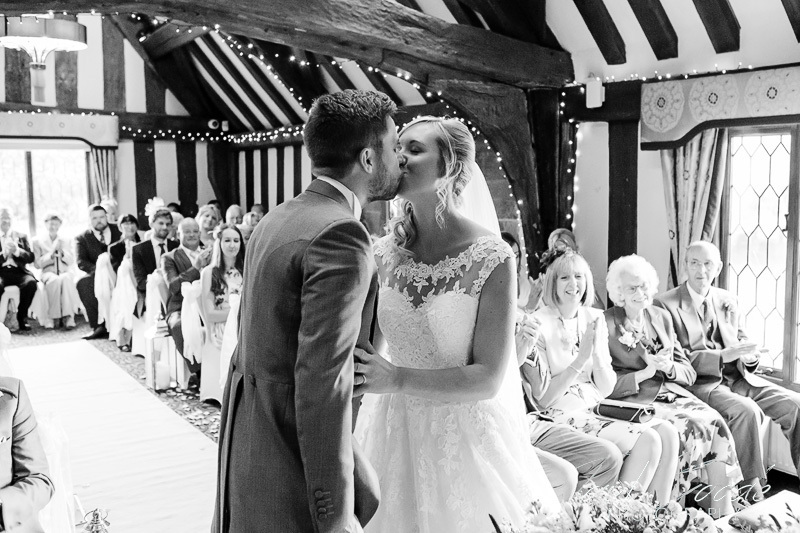 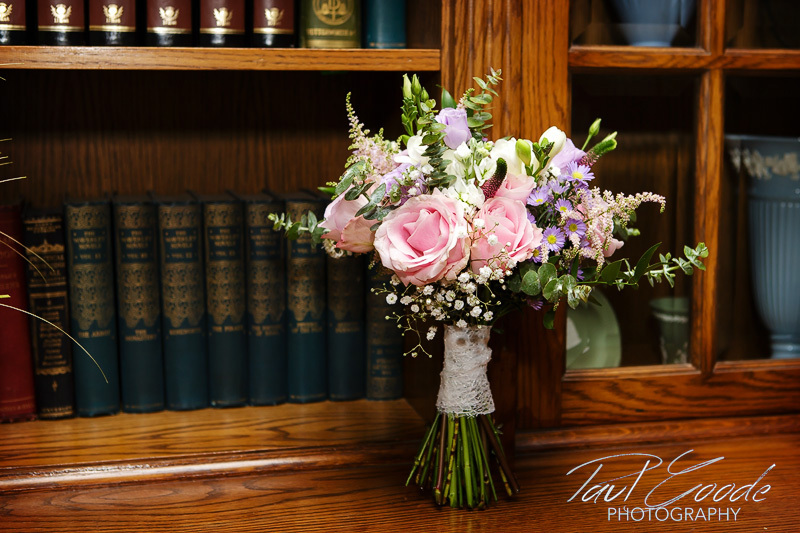 The suite has a medieval charm with its oak beams and inglenook fireplace which created a wonderful setting for a great ceremony which was full of laugher and a few tears! 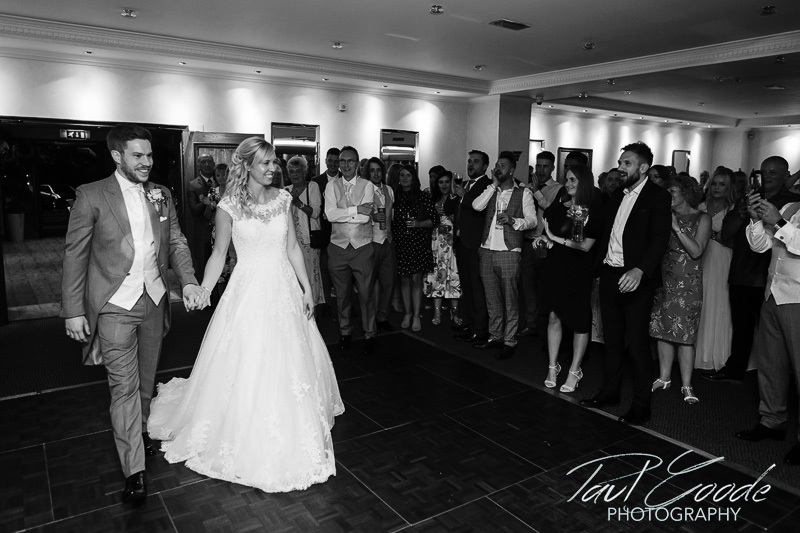 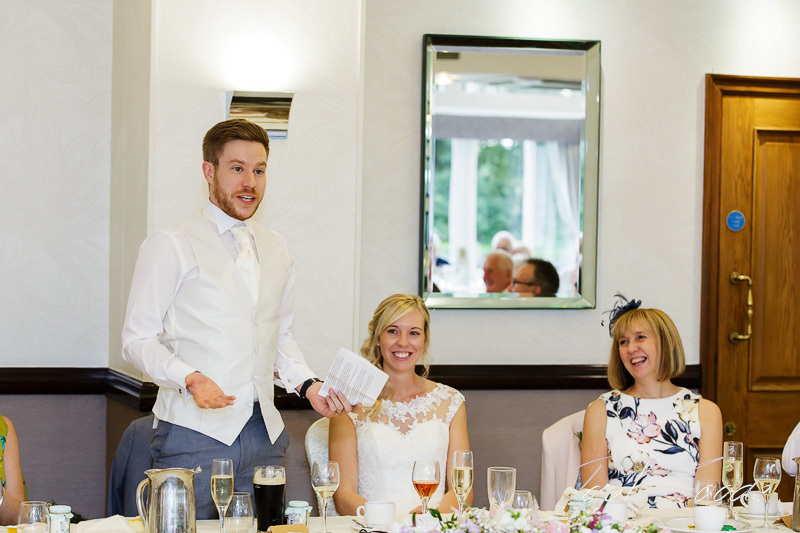 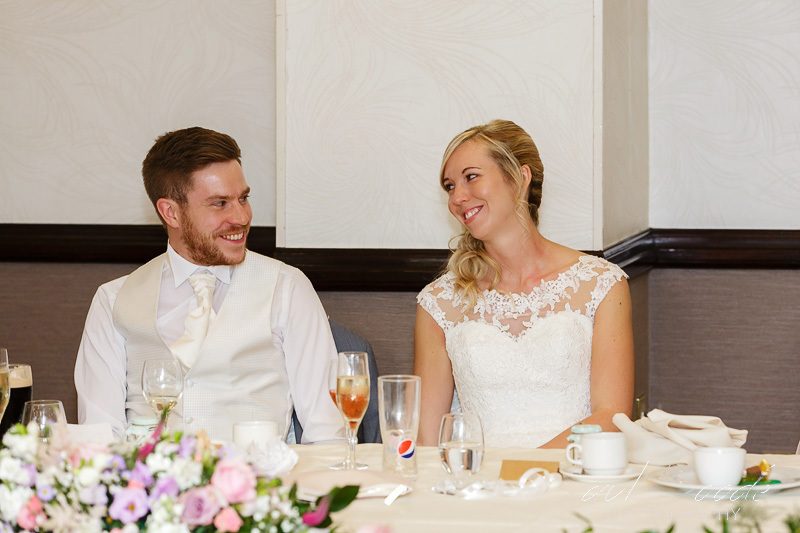 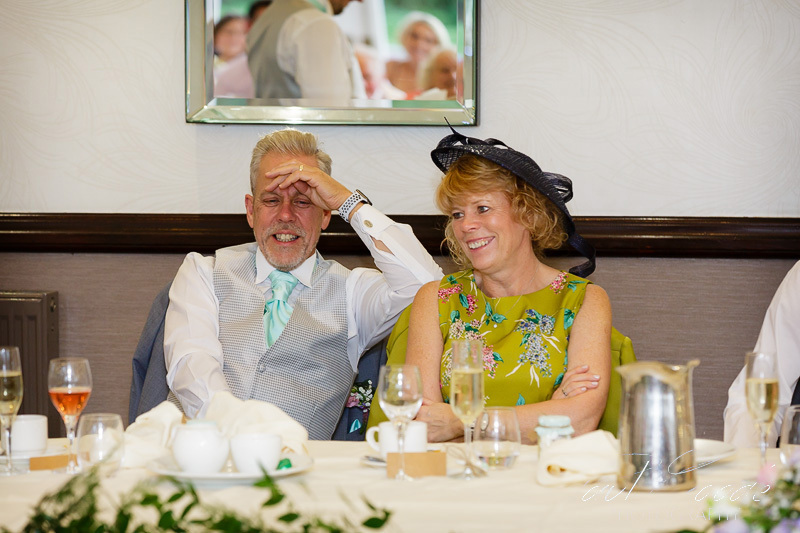 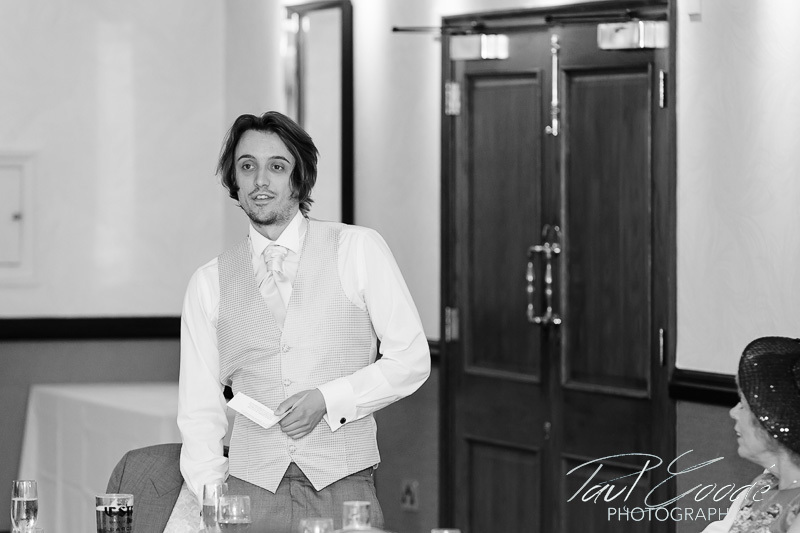 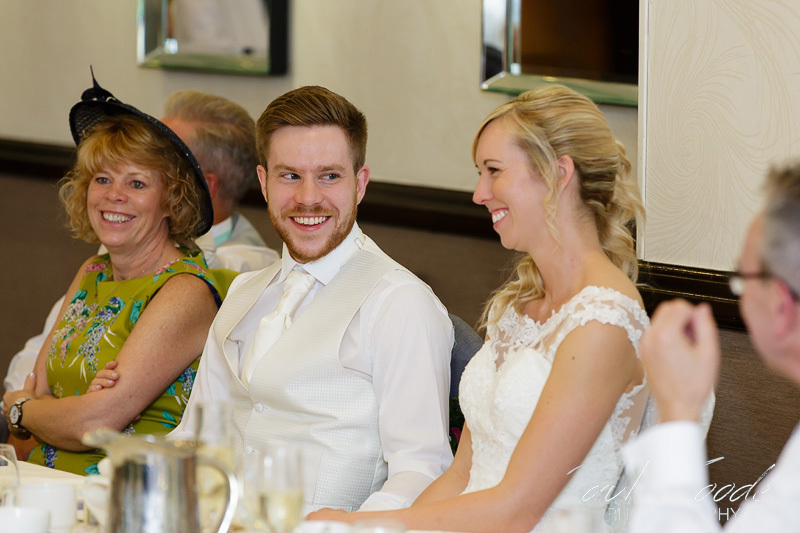 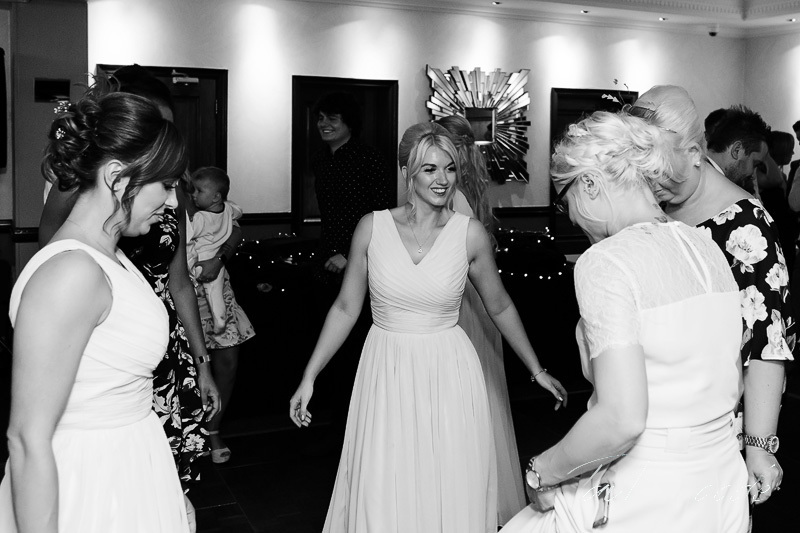 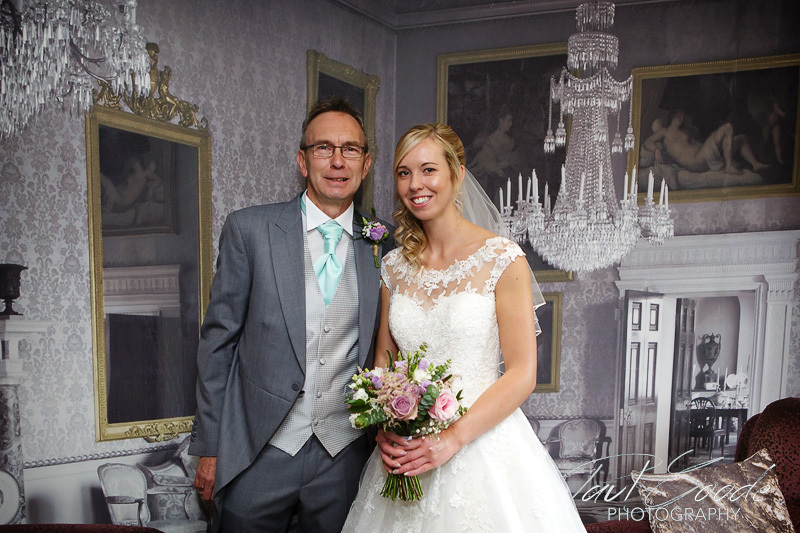 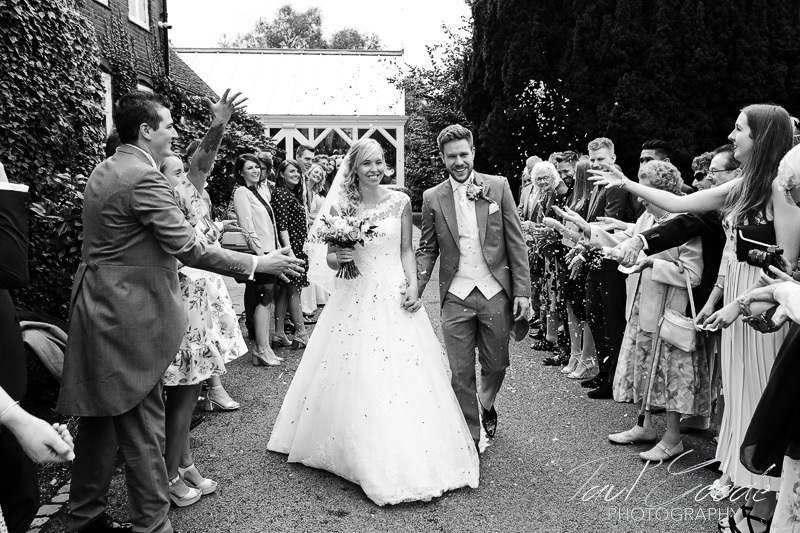 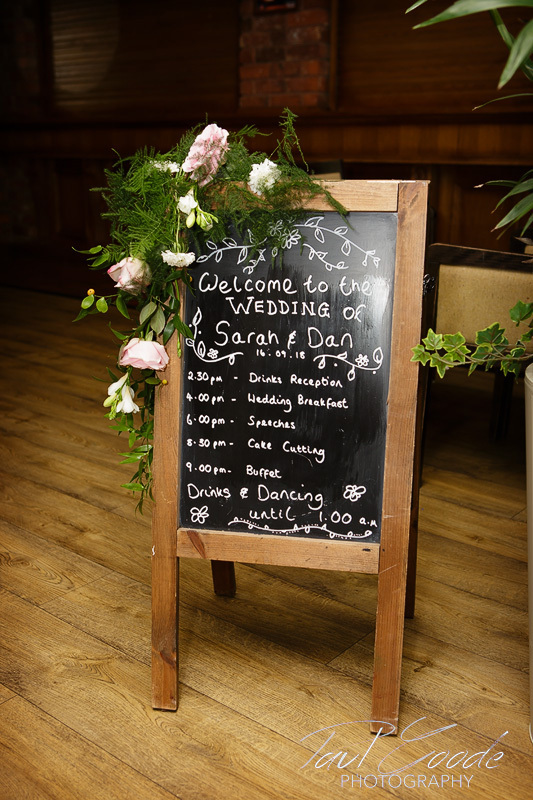 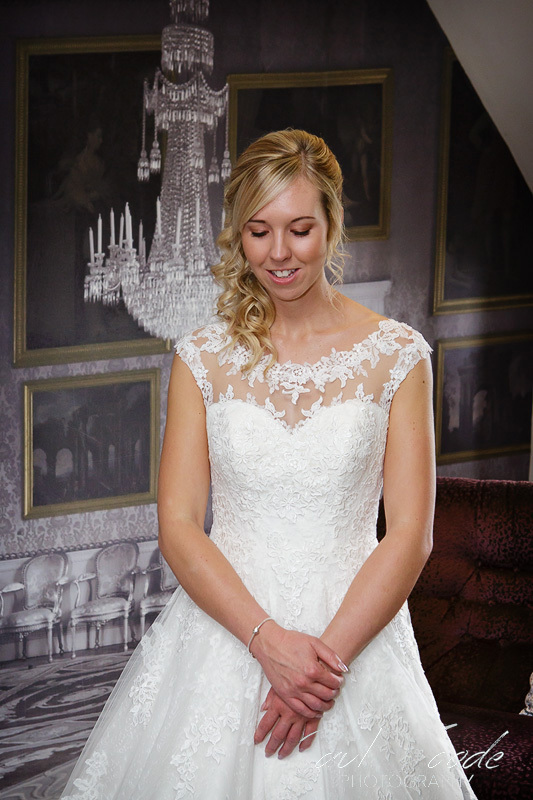 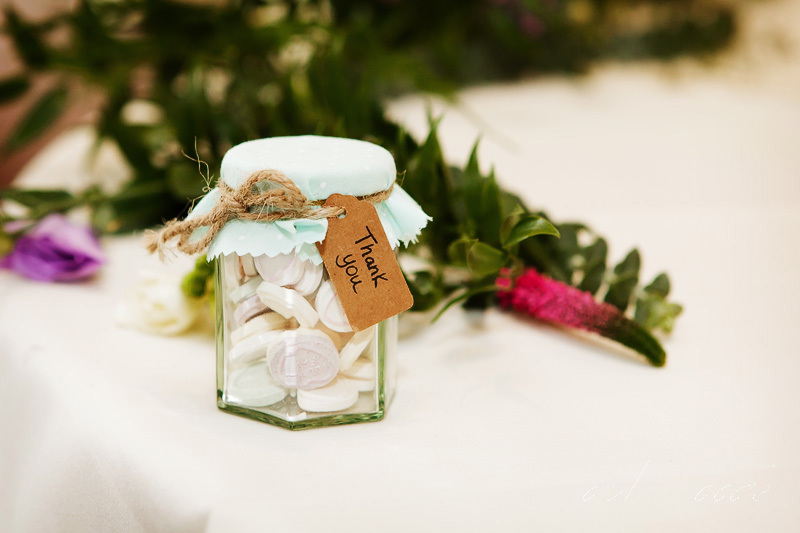 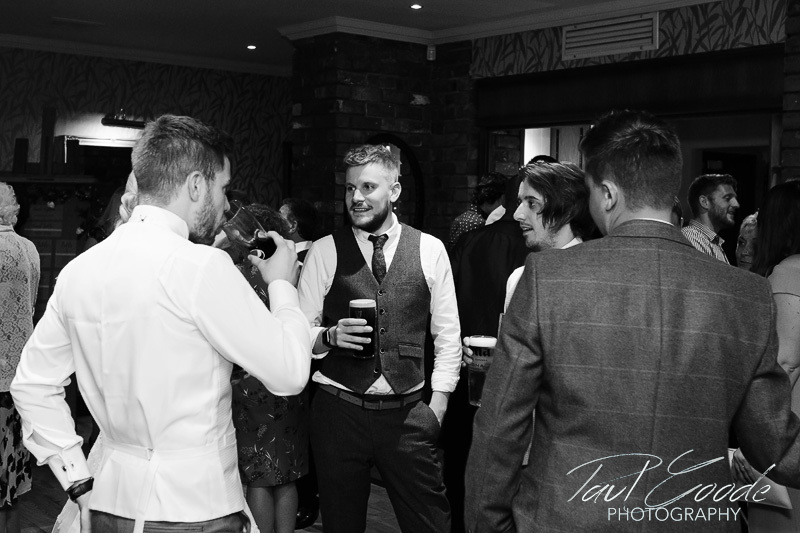 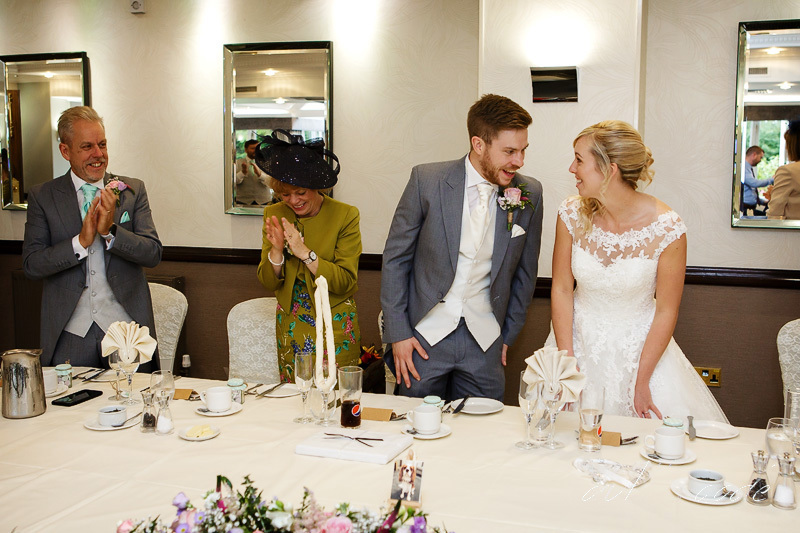 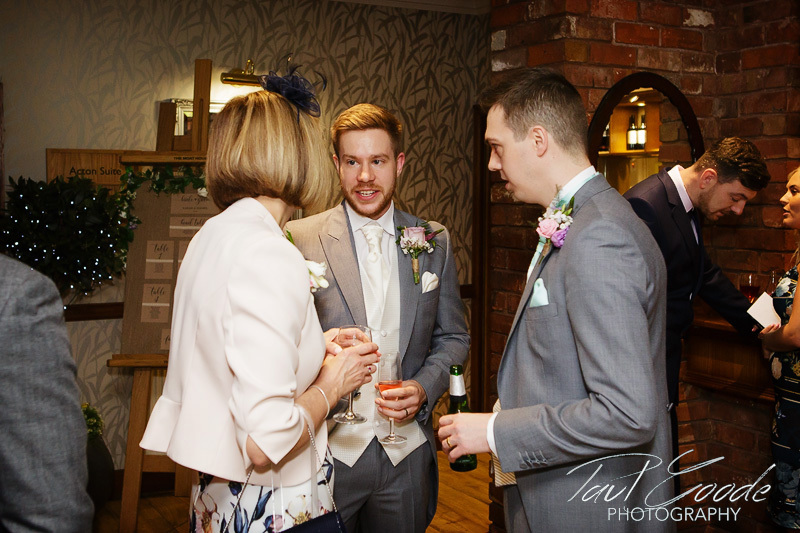 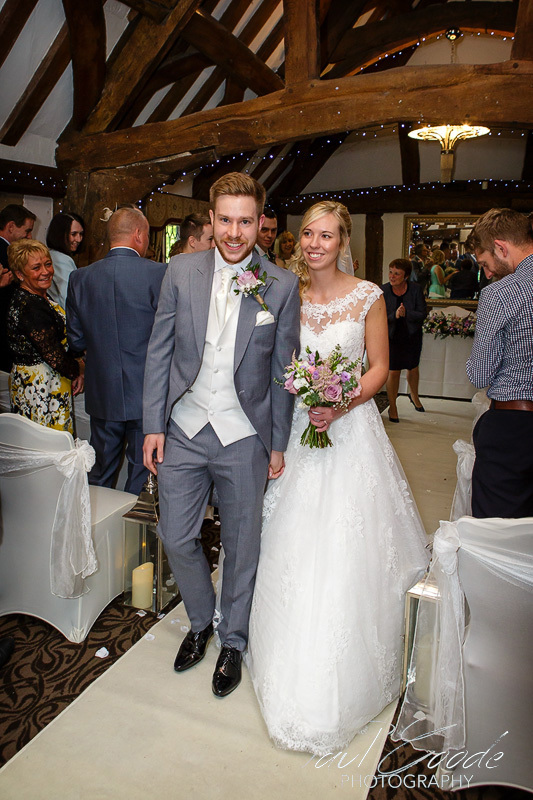 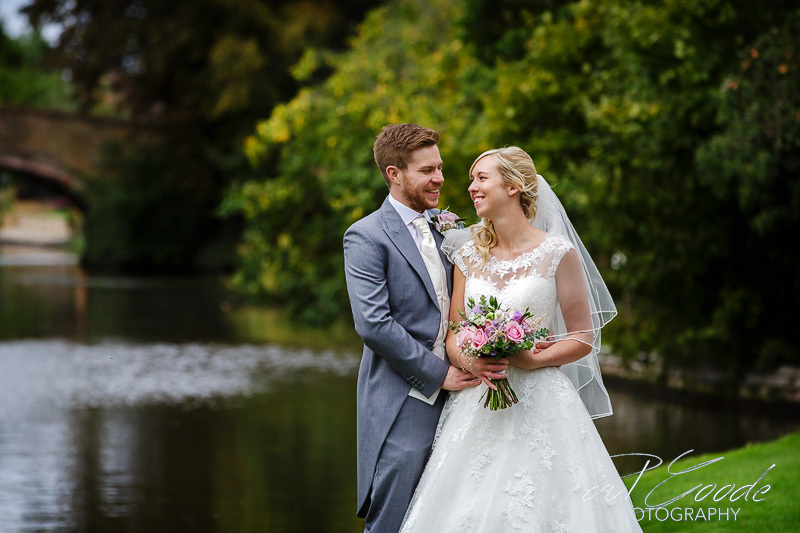 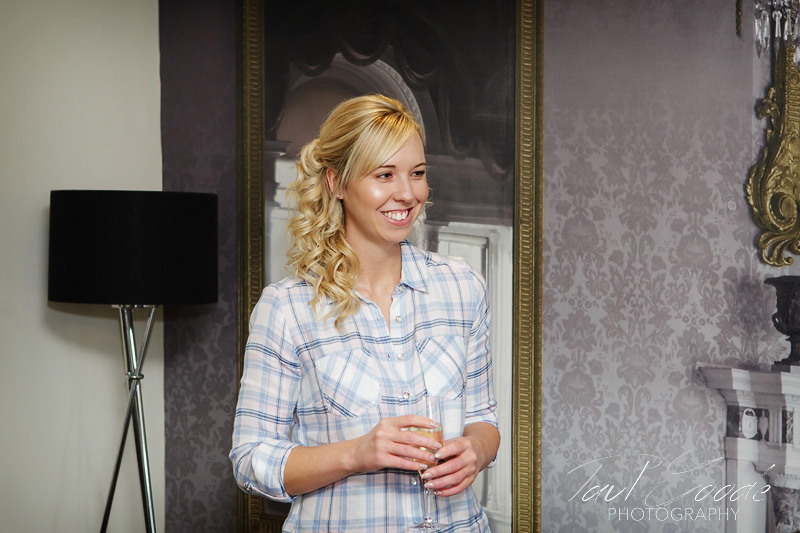 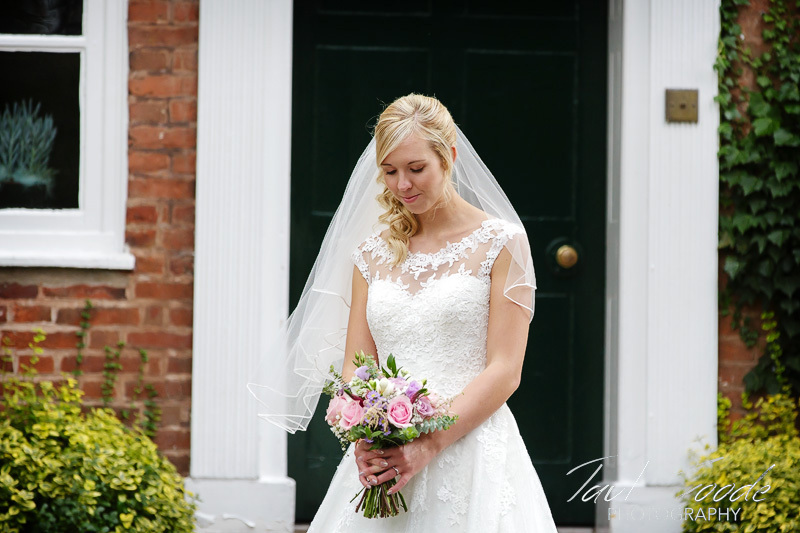 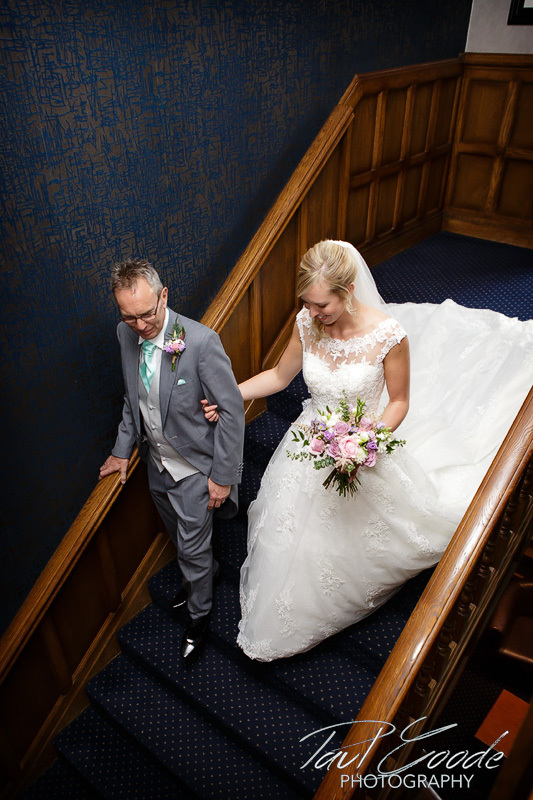 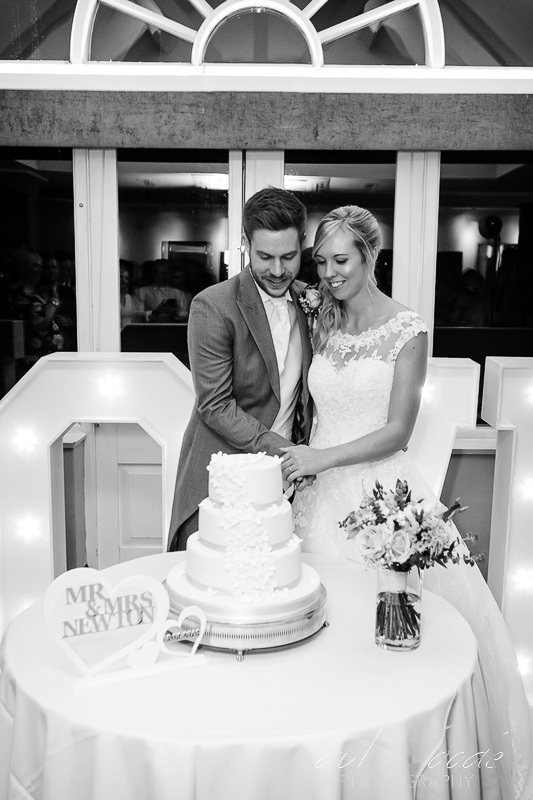 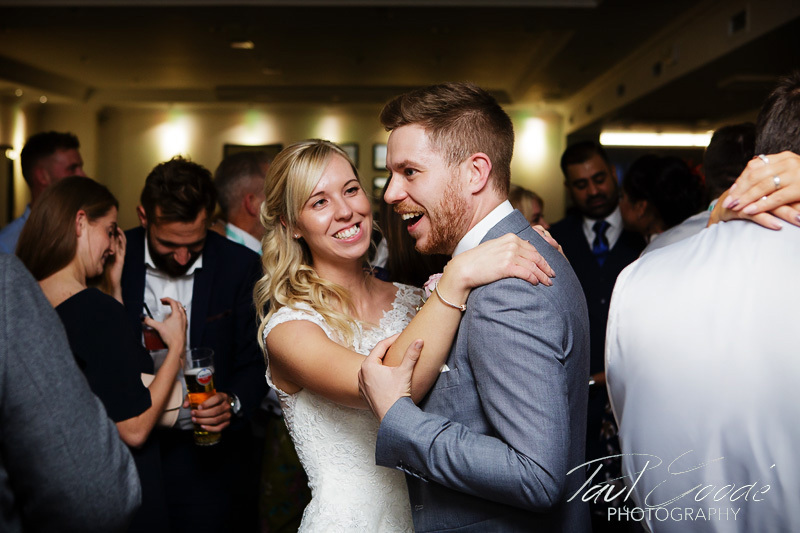 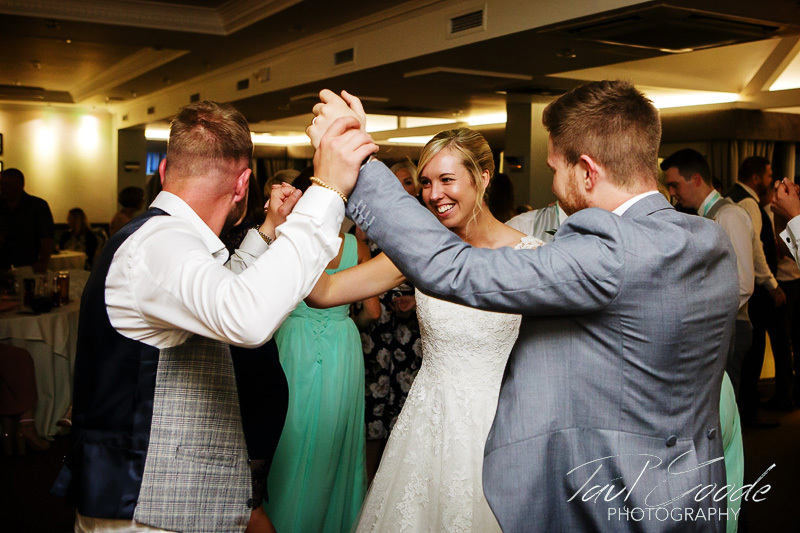 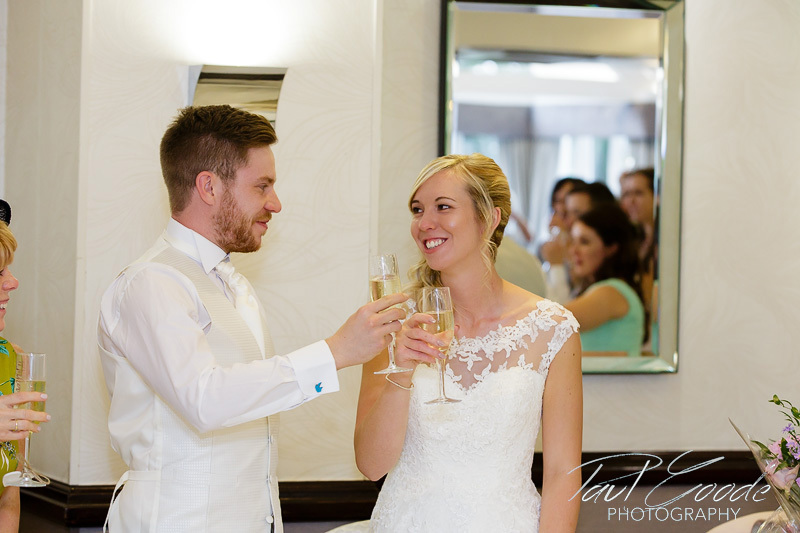 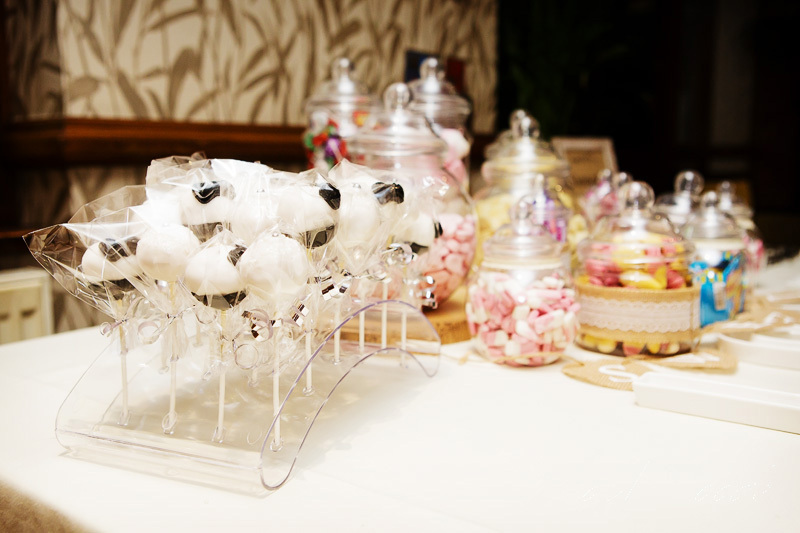 Sarah and Dan then returned to The Acton Suite to be welcomed in by their guests to enjoy the wedding breakfast prepared by the award winning kitchen team at the Moat House. 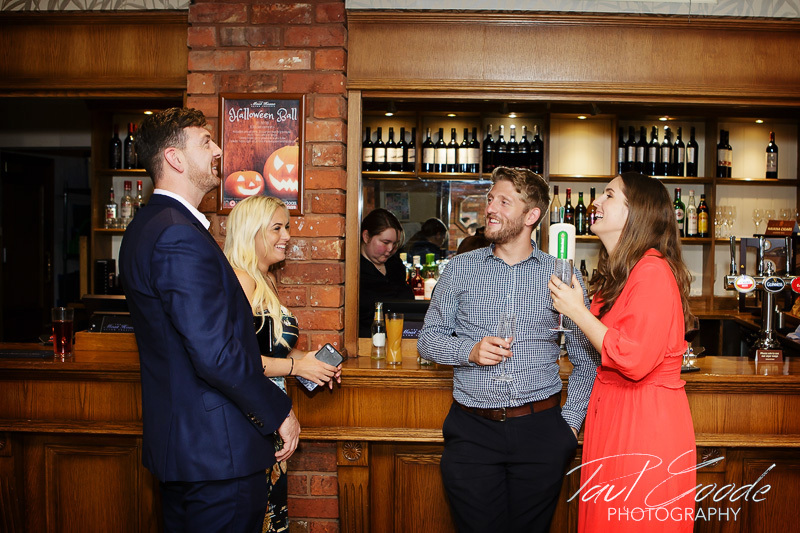 After thoroughly entertaining speeches everyone was happy and relaxed to enjoy the evening celebrations. 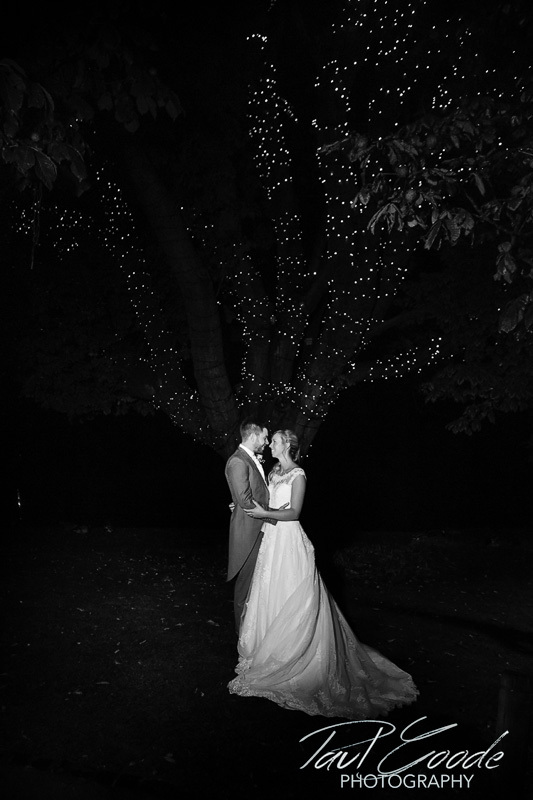 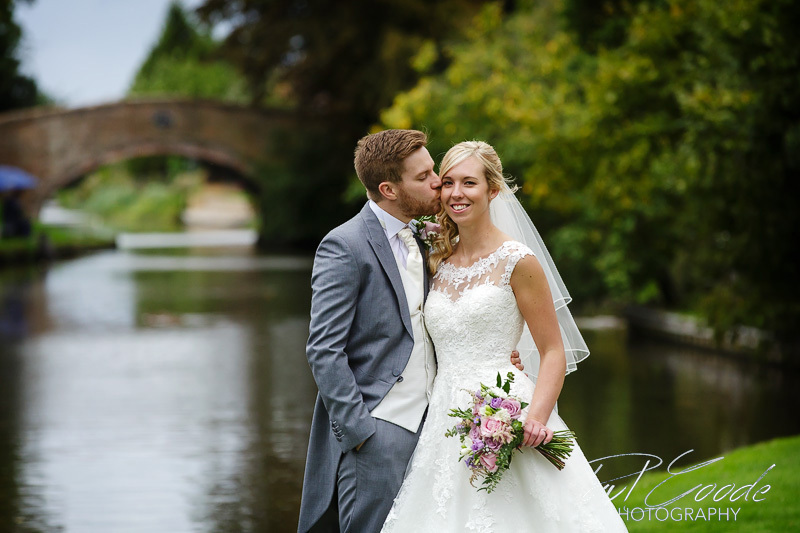 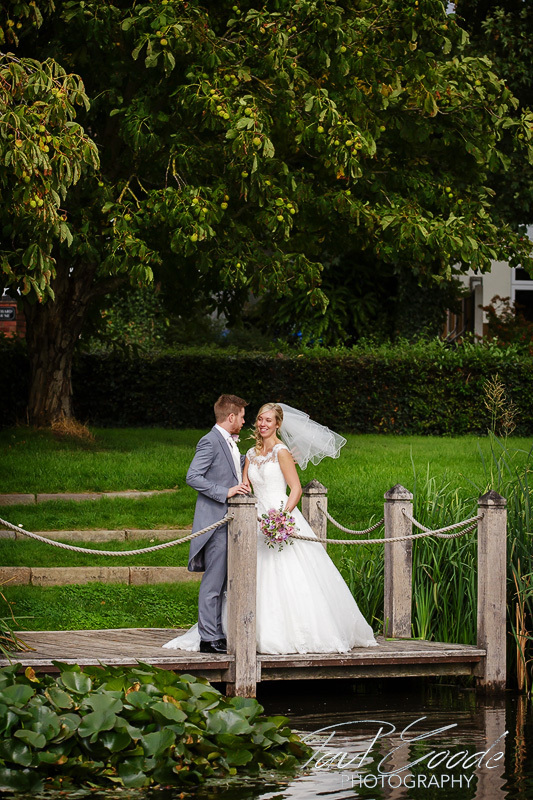 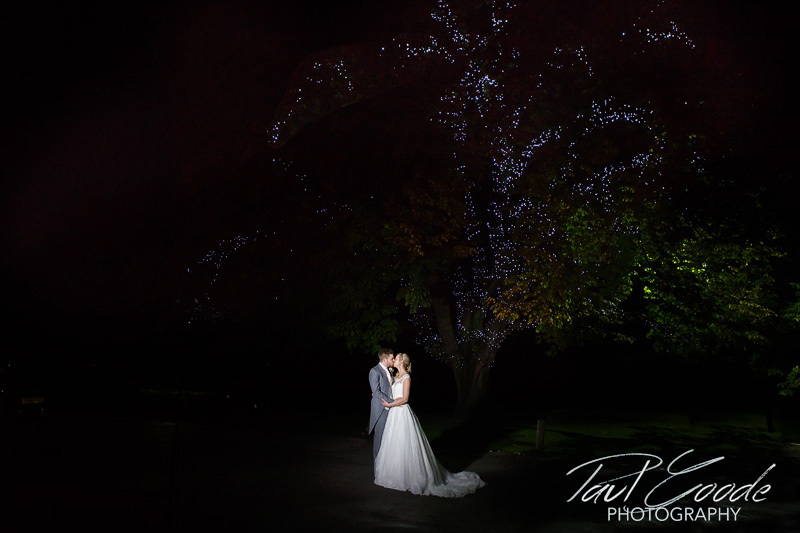 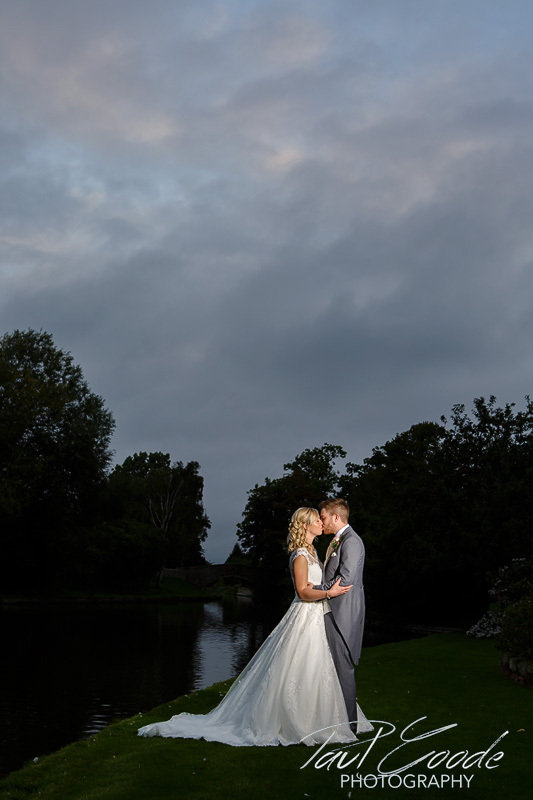 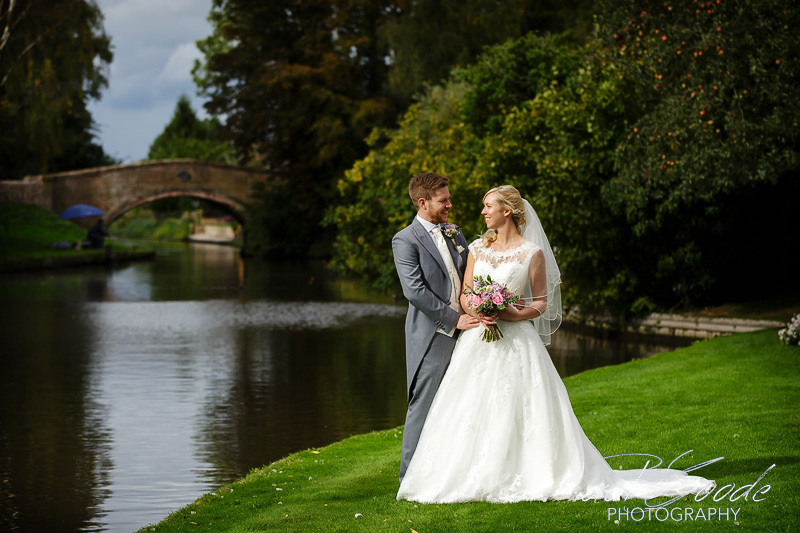 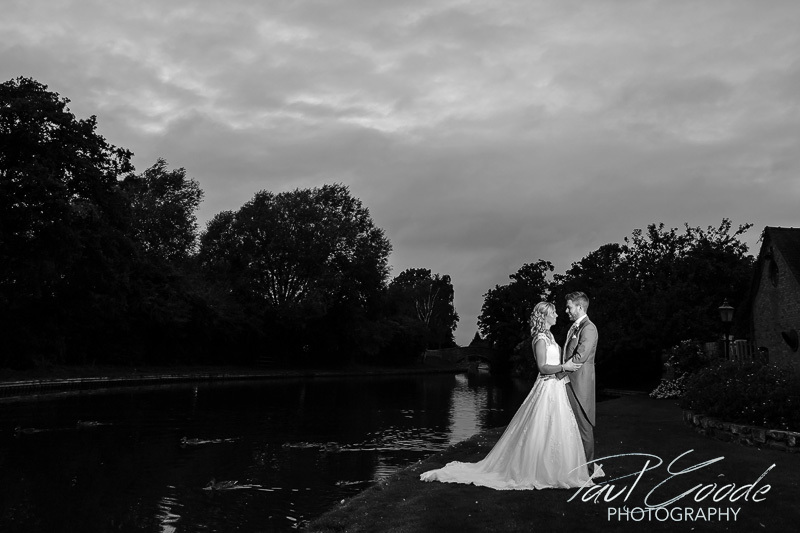 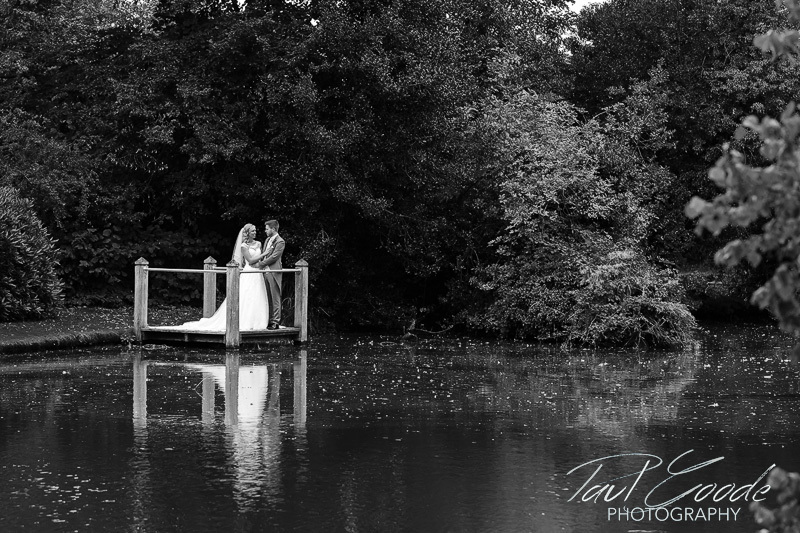 Sarah and Dan had some twilight photos taken by the canal and ‘twinkly light’ photos in front of the Moat House before their cake cutting and first dance. 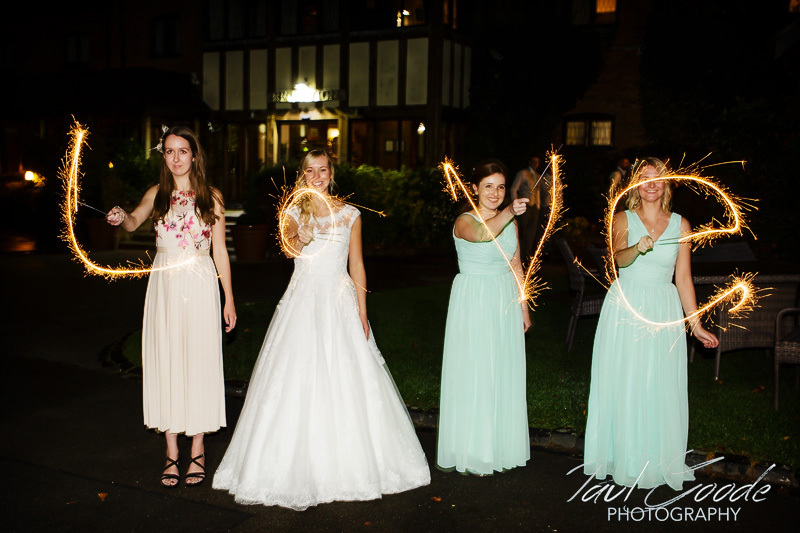 Sarah and the bridesmaids had a little break from the dance floor to pop outside to have some fun with the sparklers before the evening really got going!